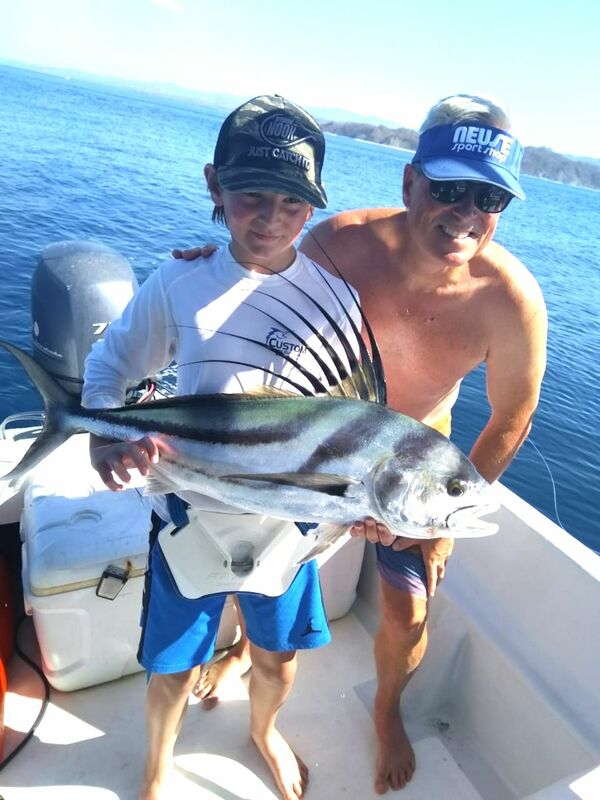 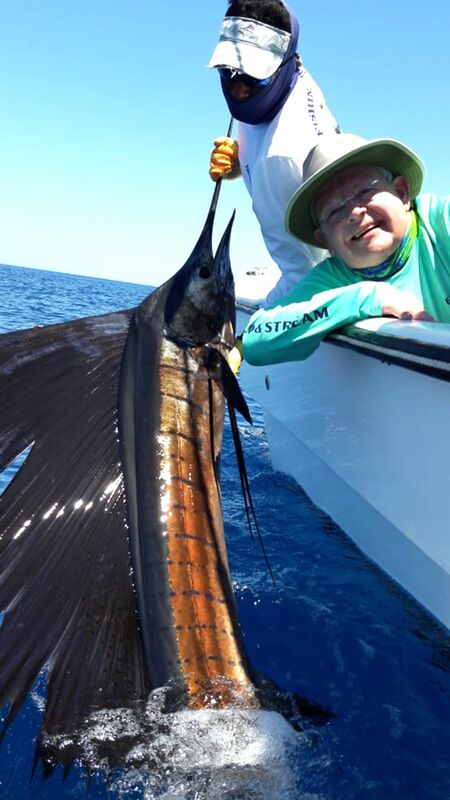 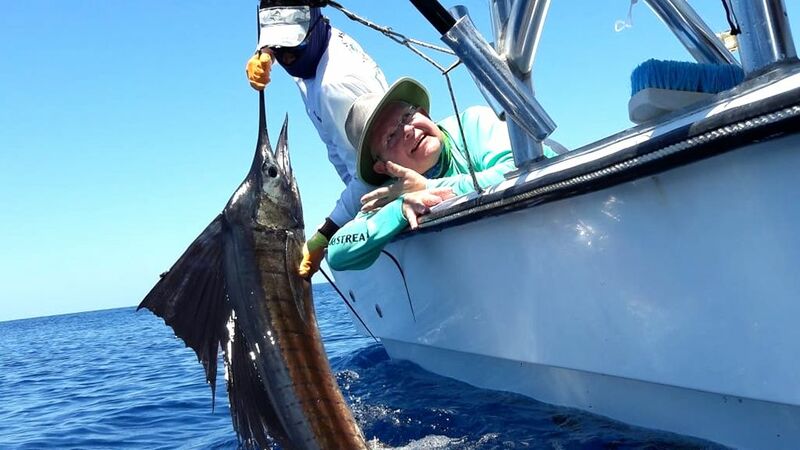 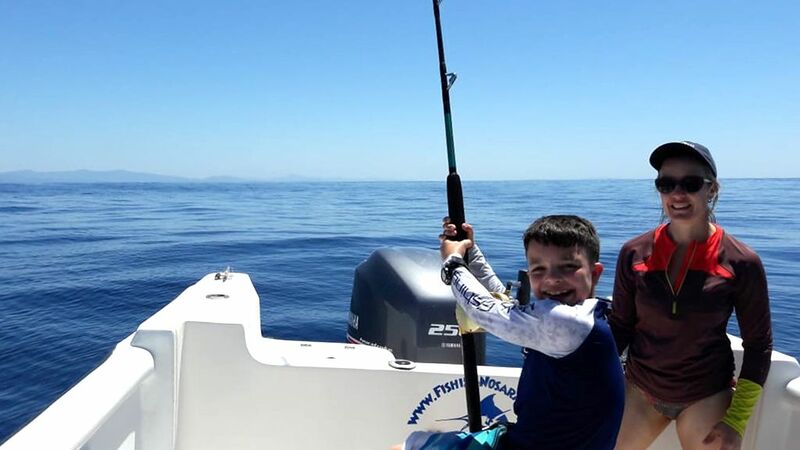 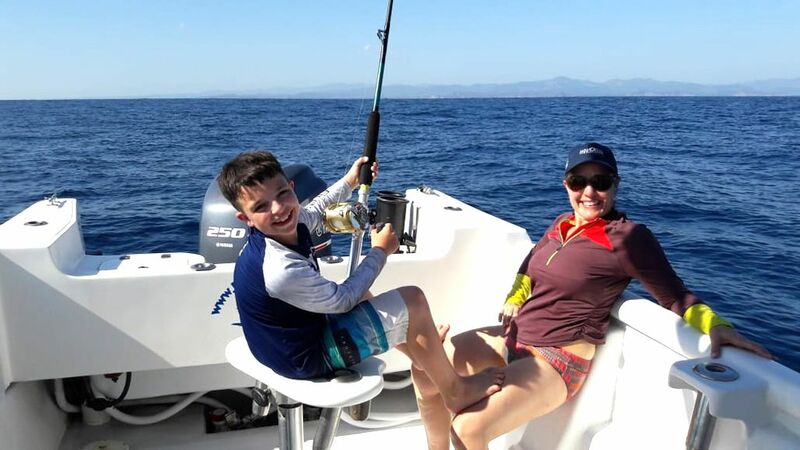 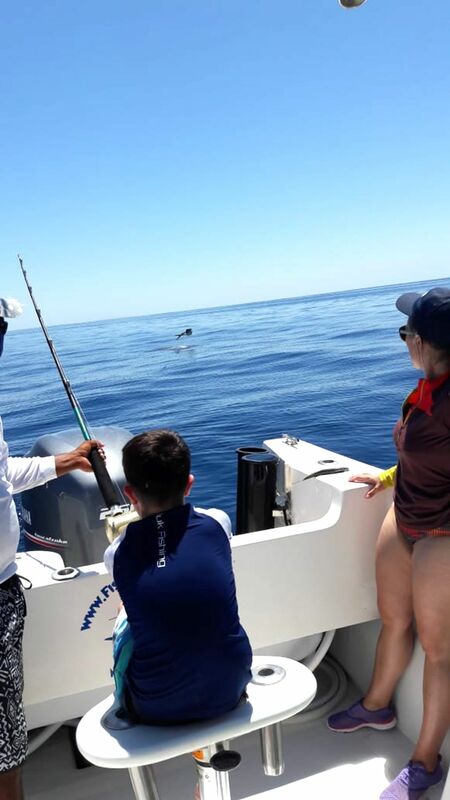 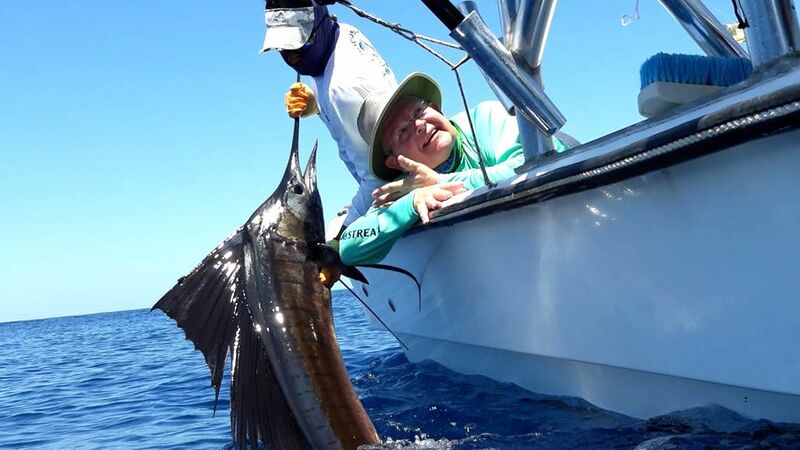 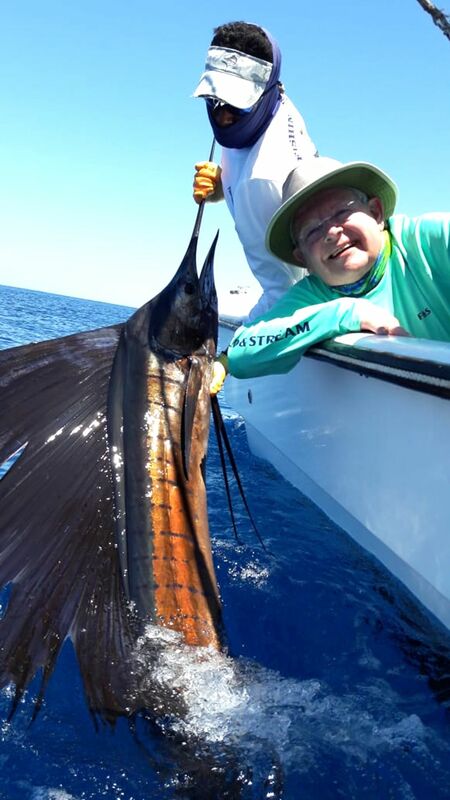 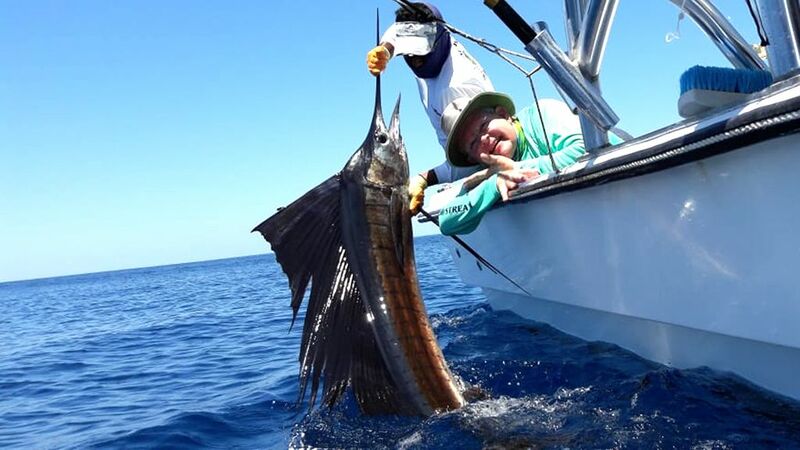 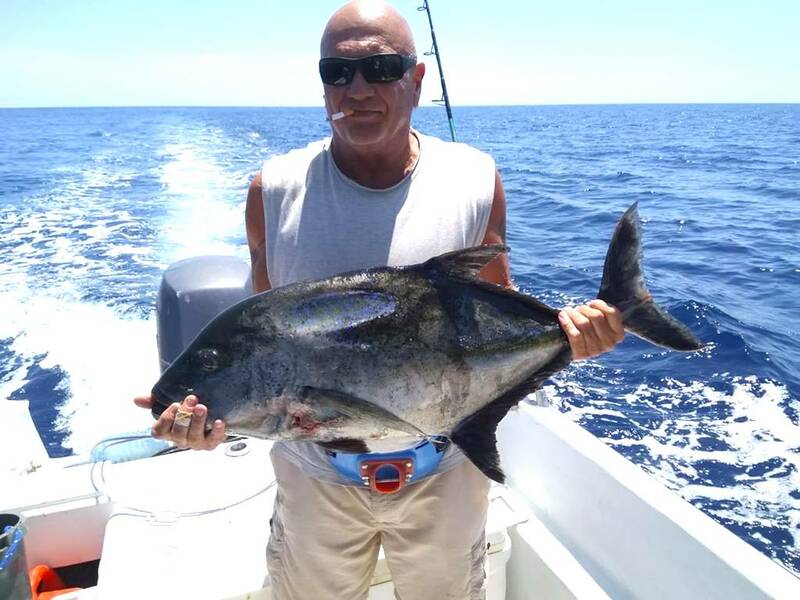 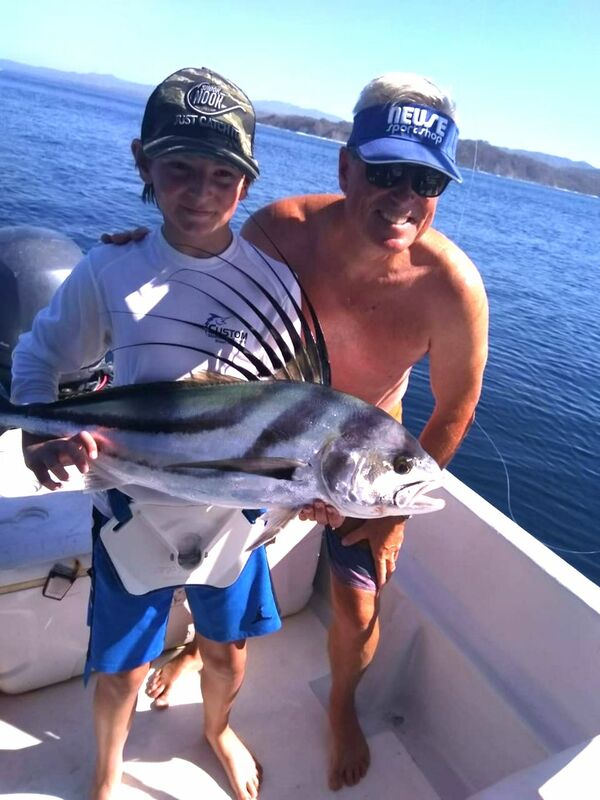 John and Alice Hagaman joined the Brent Cockerham group for a blistering day of action on the Harvester, highlighted by a swarm of Rooster Fish releases. 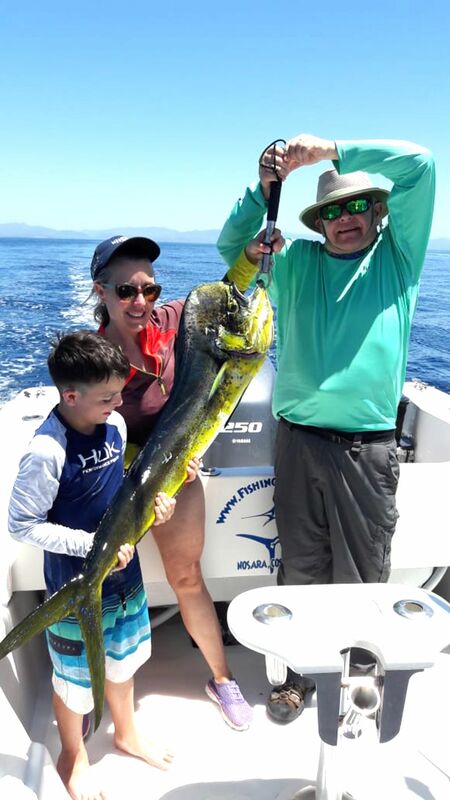 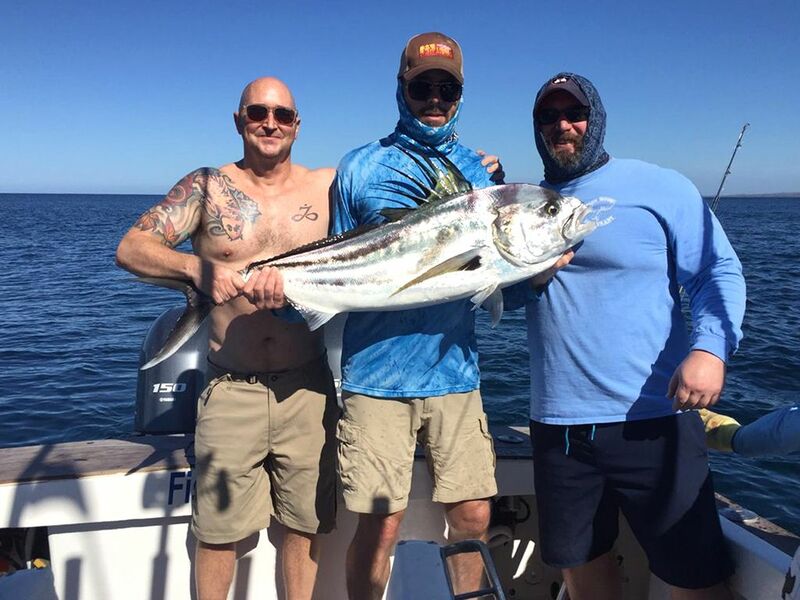 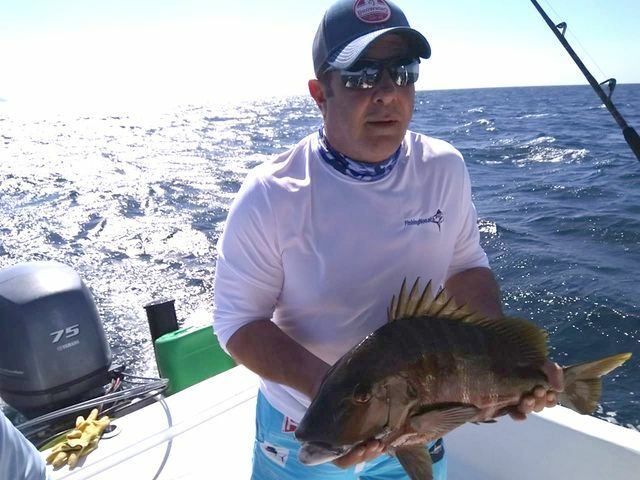 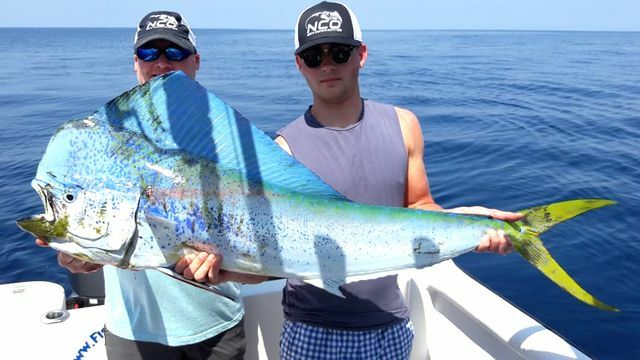 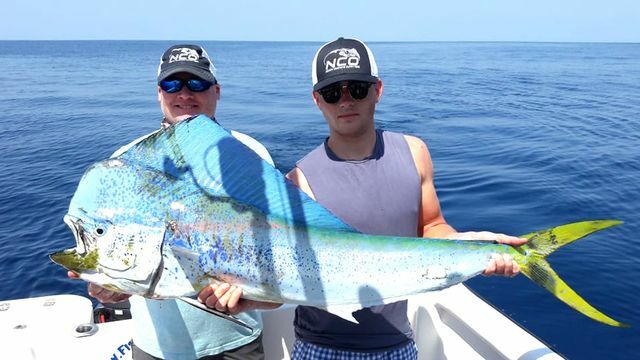 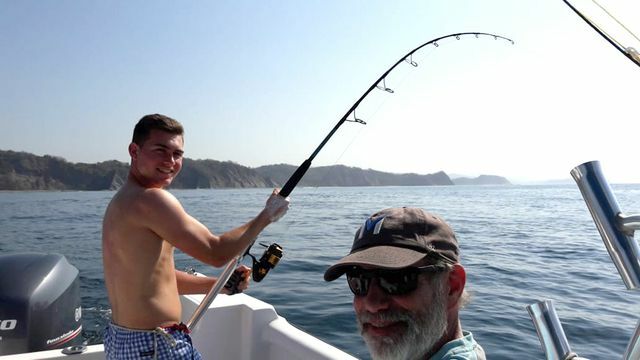 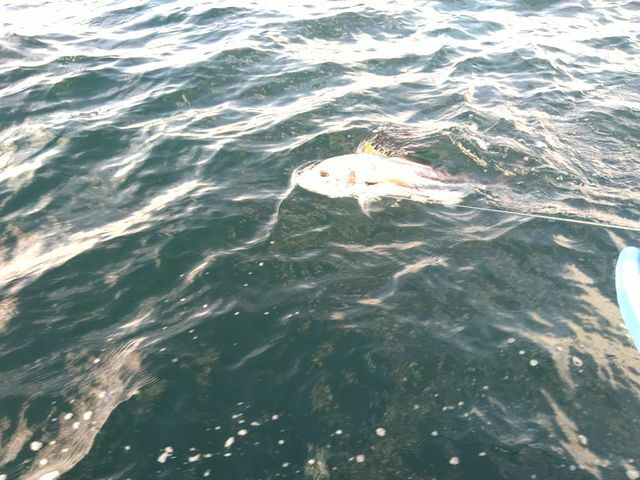 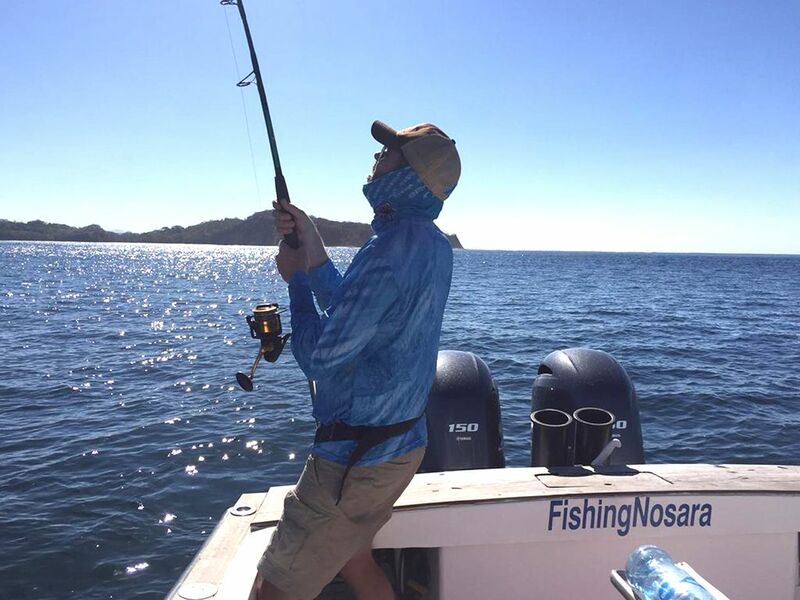 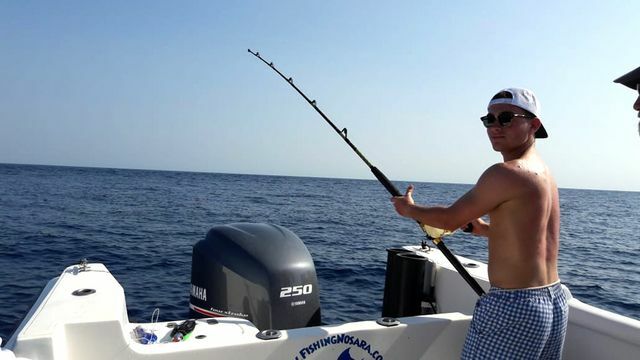 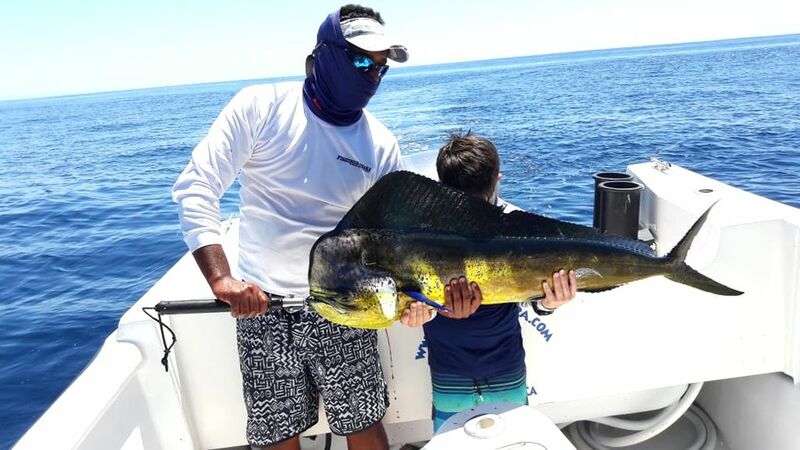 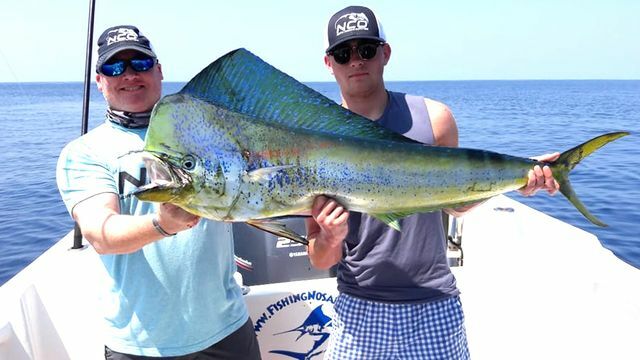 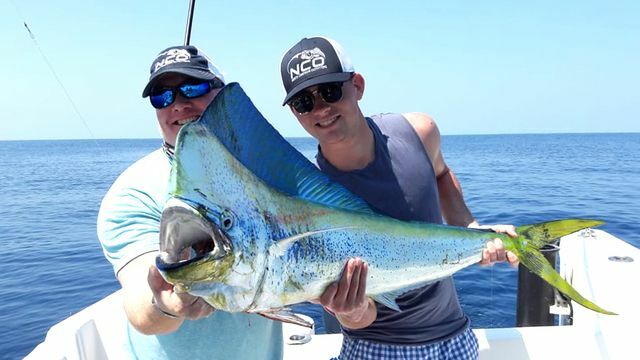 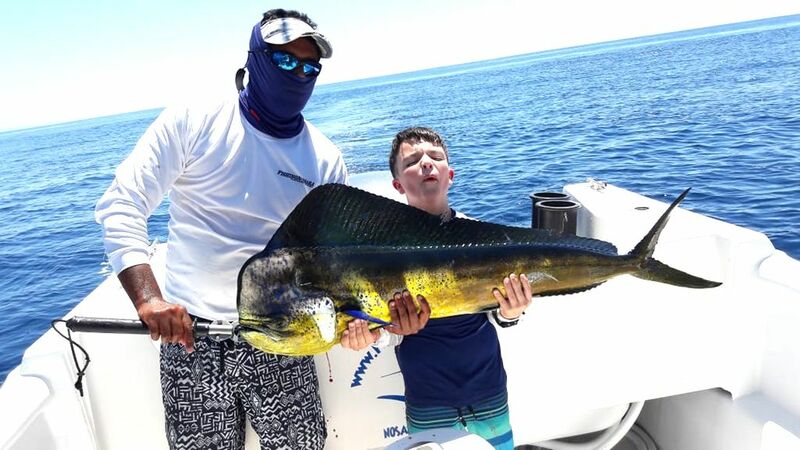 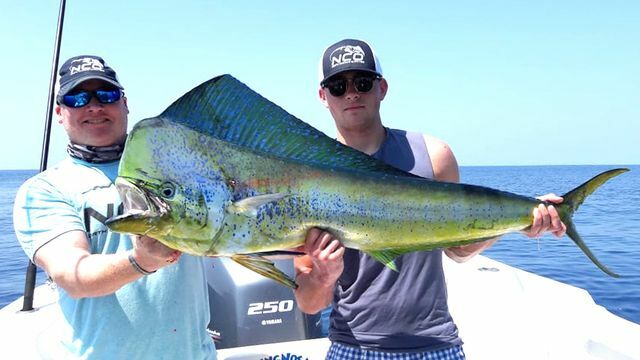 While they were offshore they nabbed several nice Dorados for the dinner table. 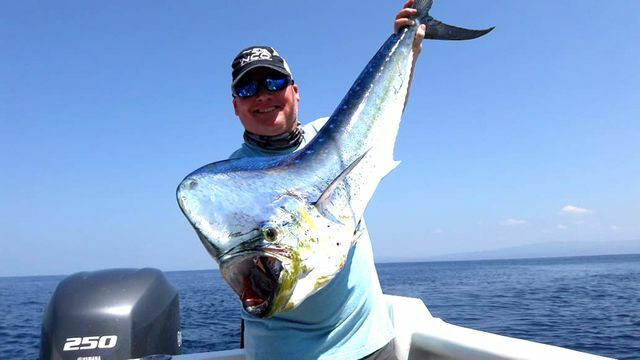 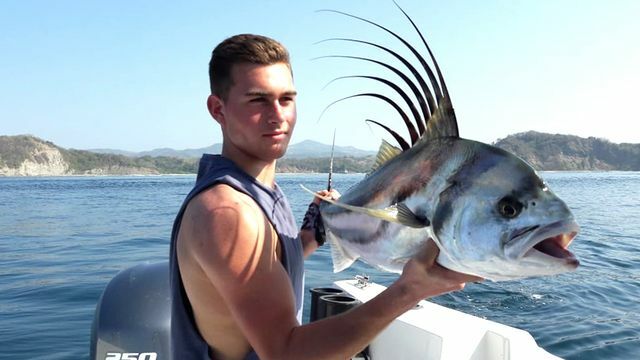 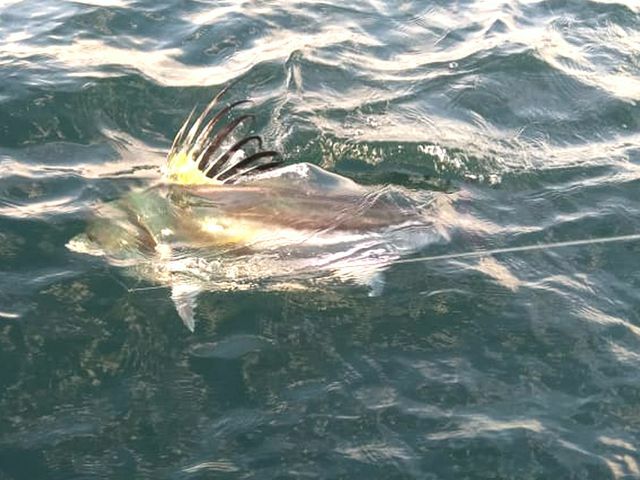 The cherry on top of this sundae was this beautiful Rooster Fish release. 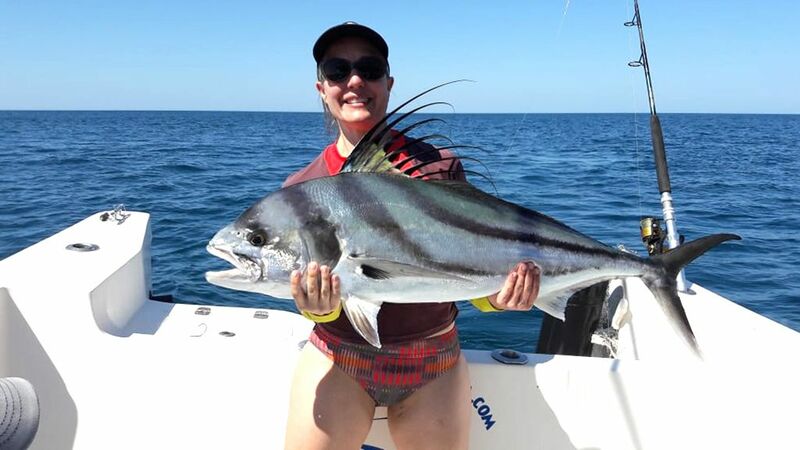 Great work by Captain Alex! 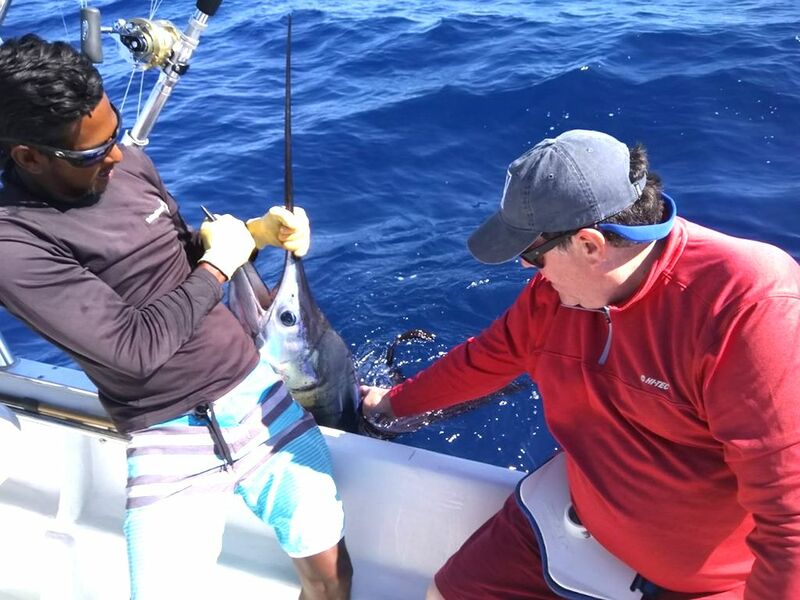 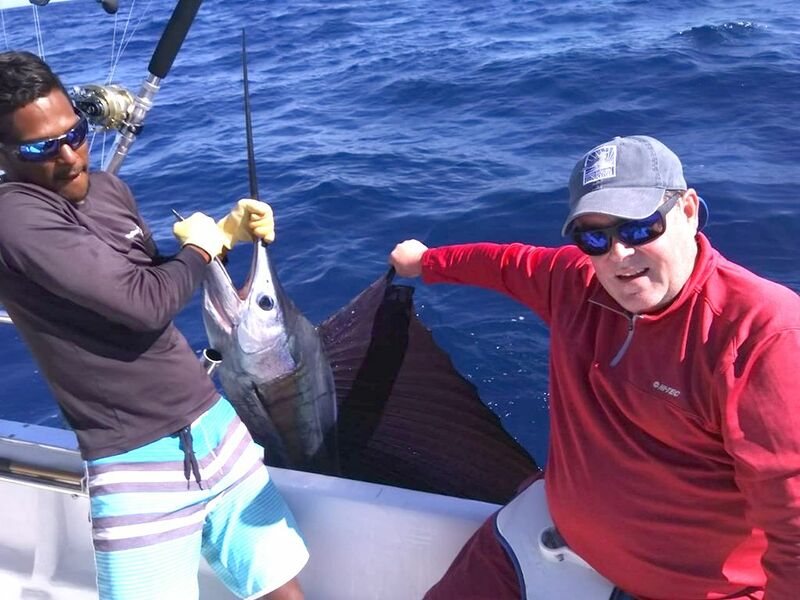 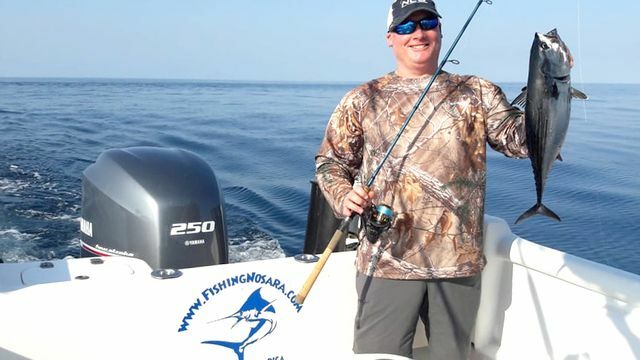 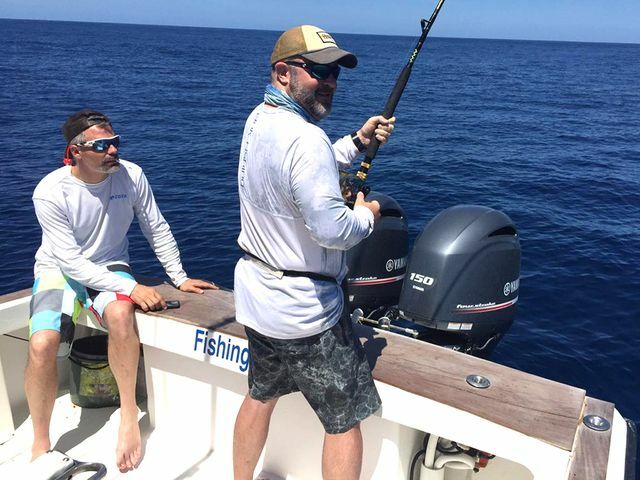 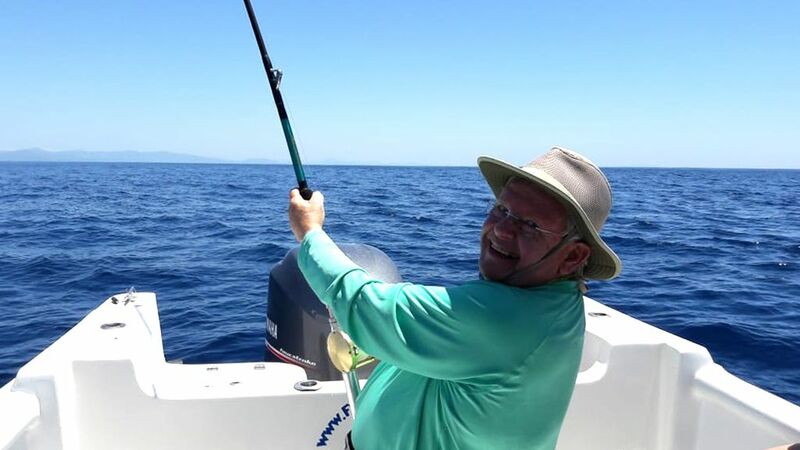 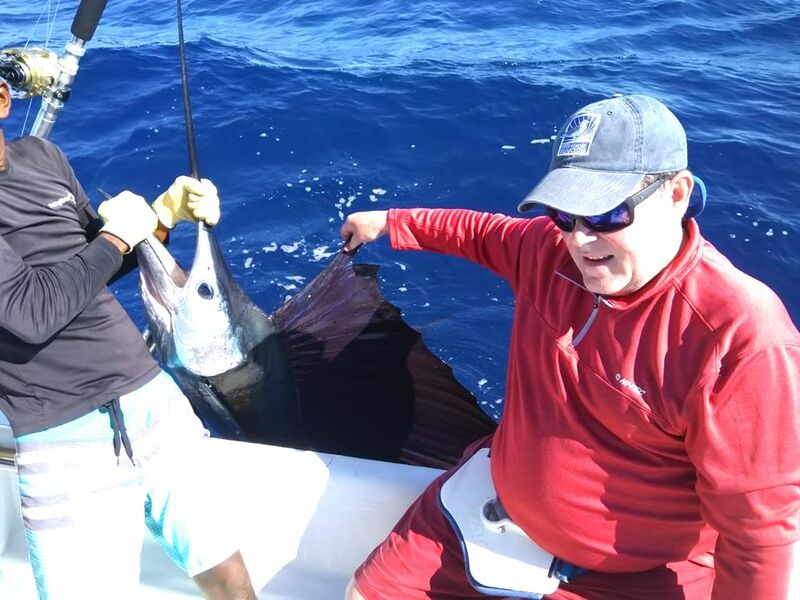 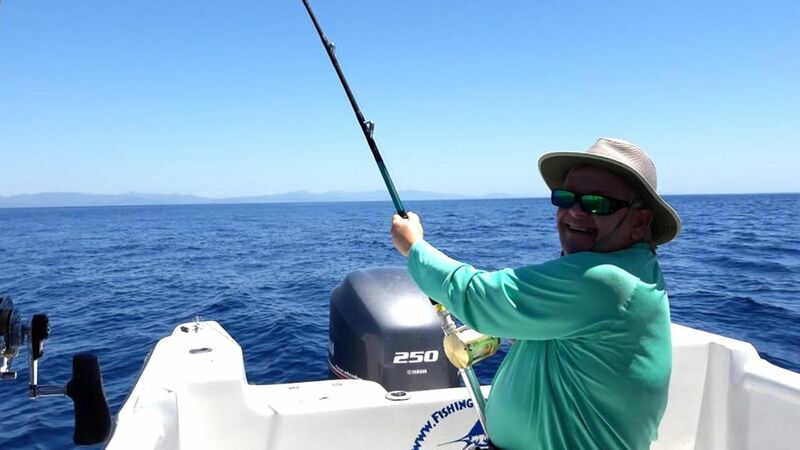 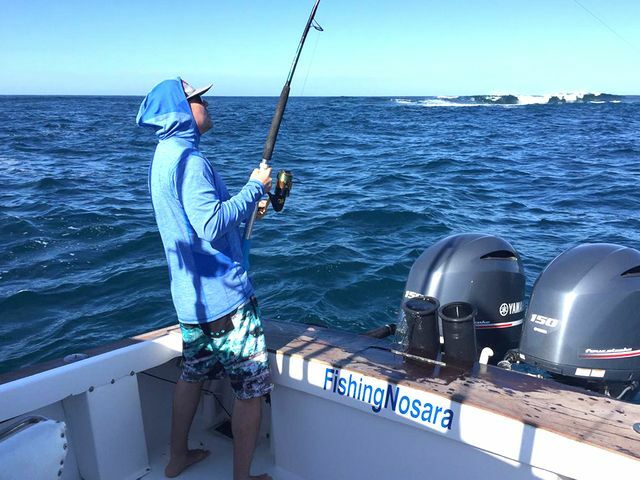 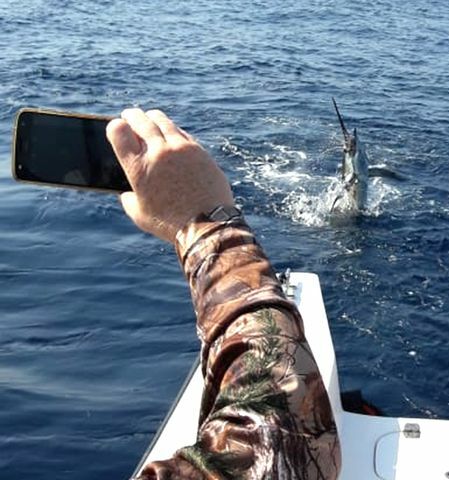 Rick Noonan headed offshore about 10 miles to the deep blue water, and immediately started scoring billfish. 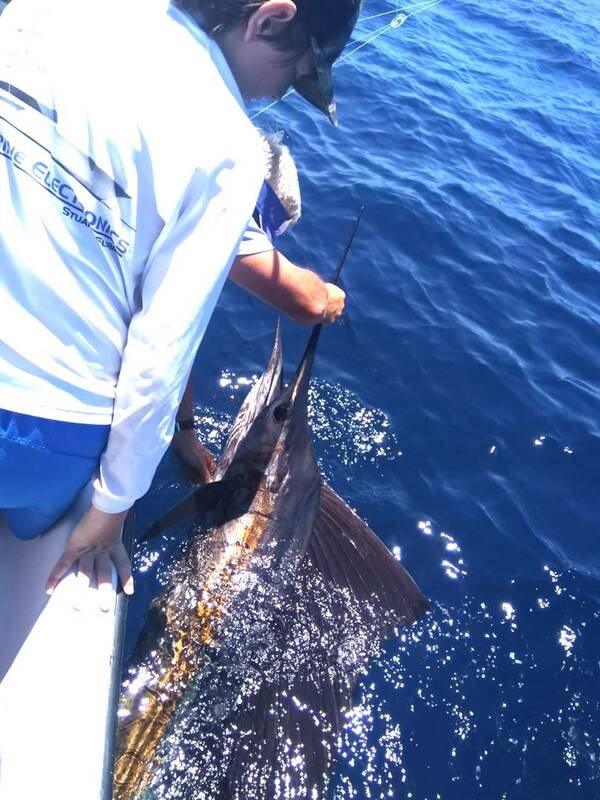 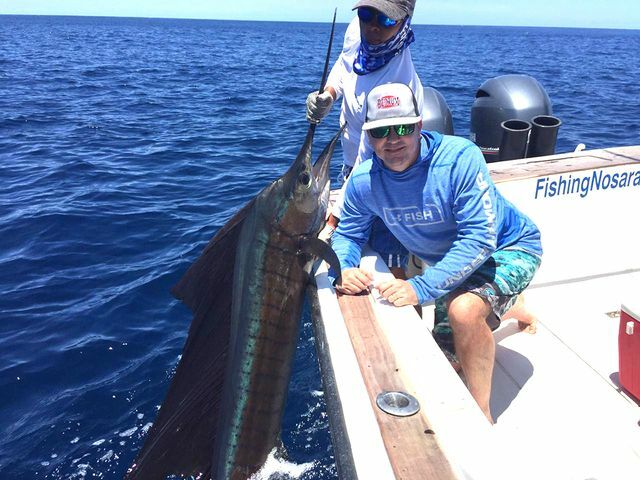 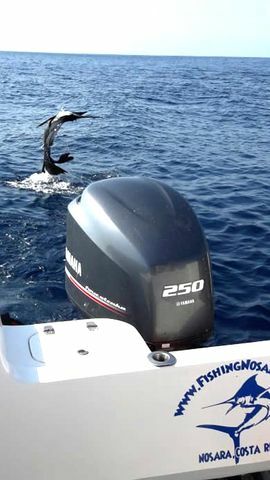 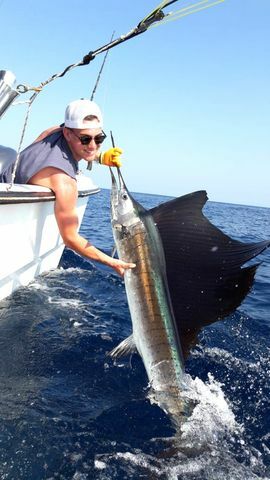 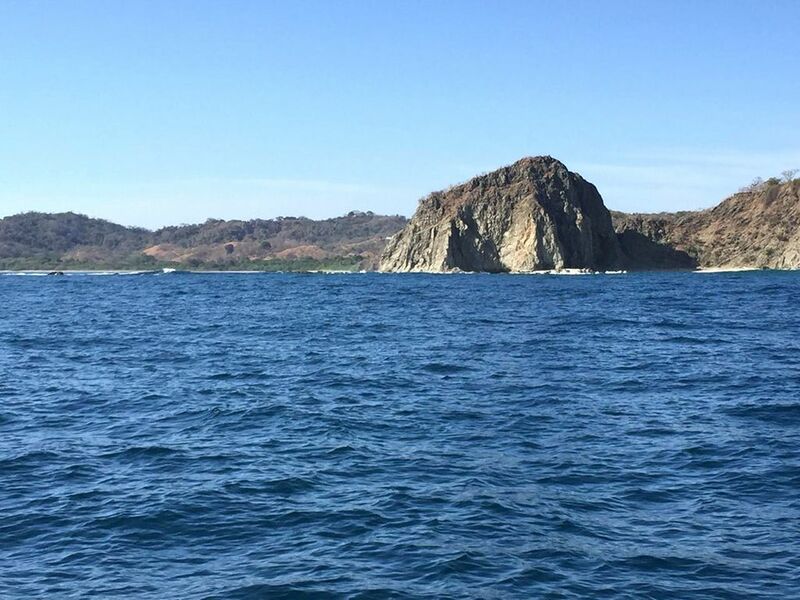 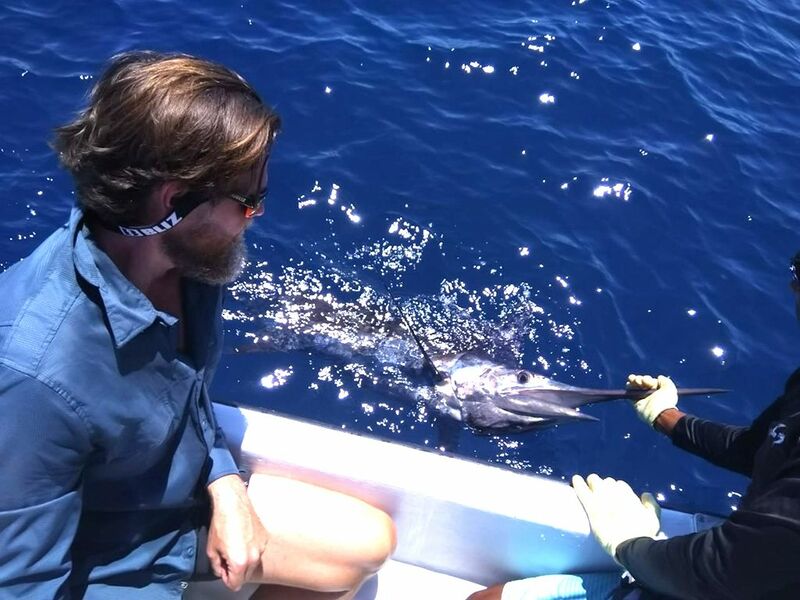 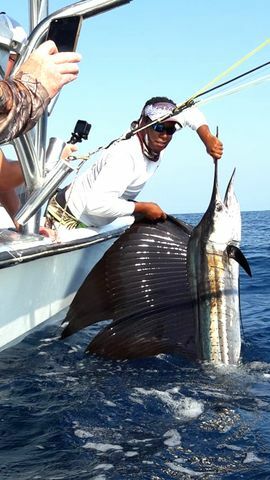 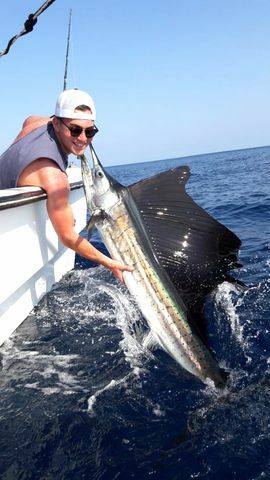 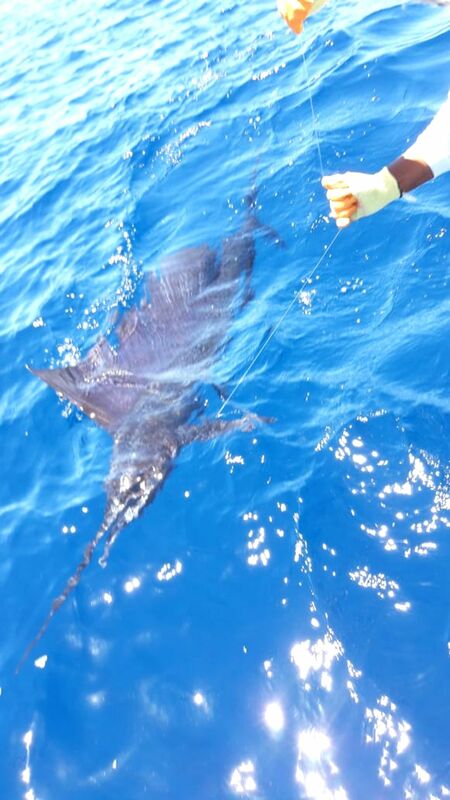 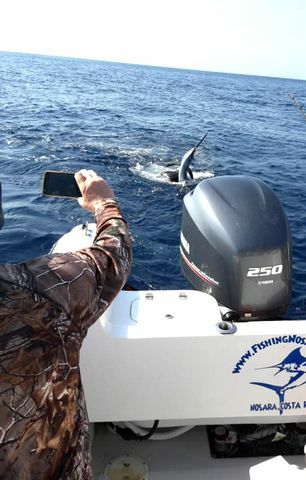 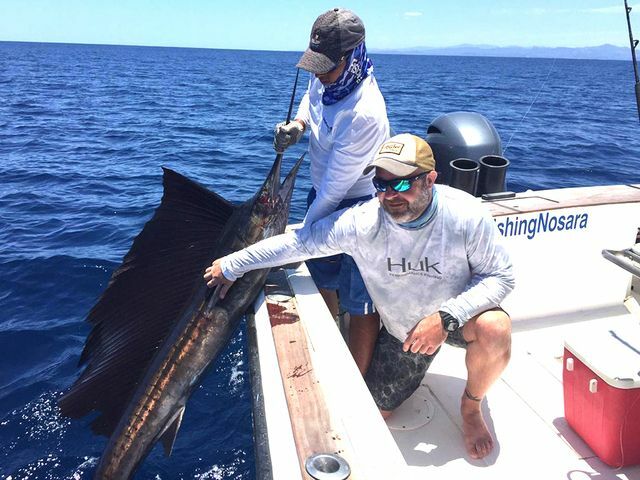 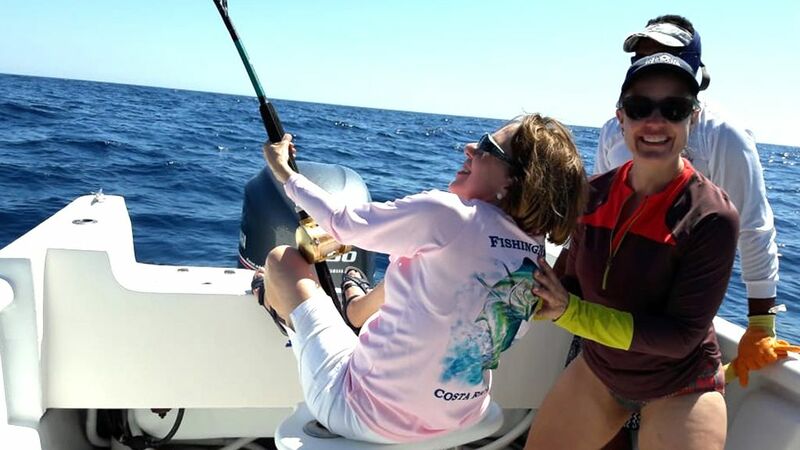 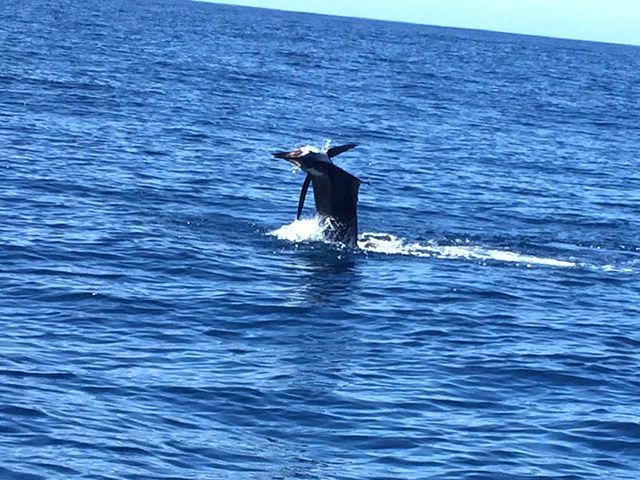 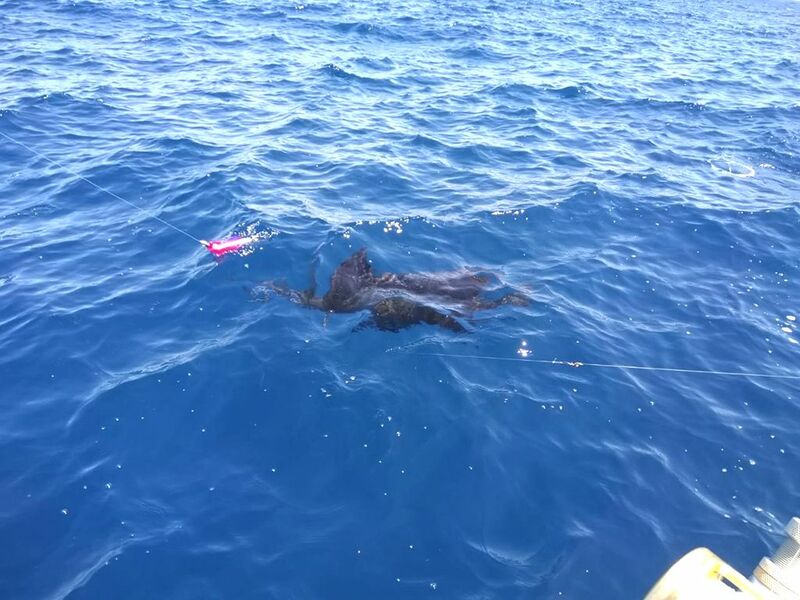 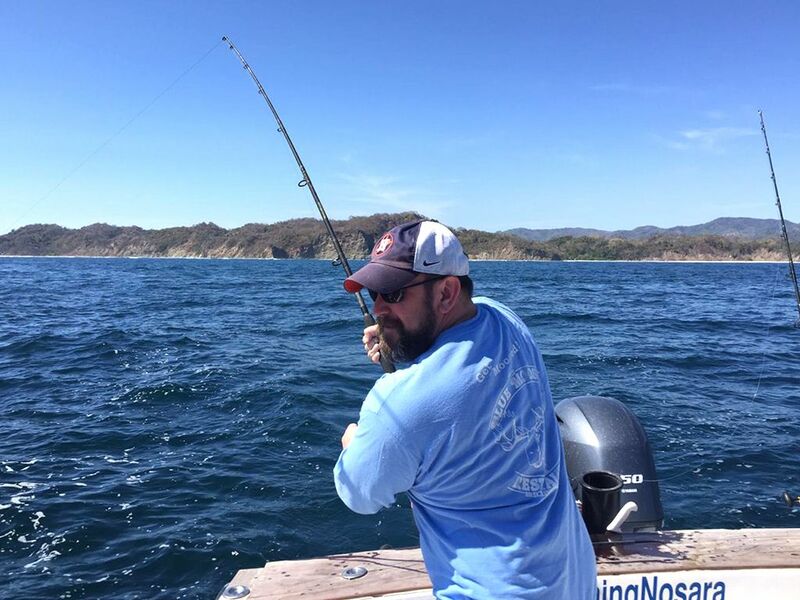 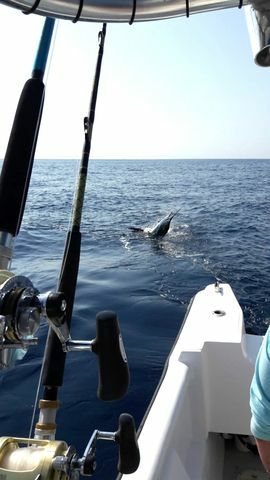 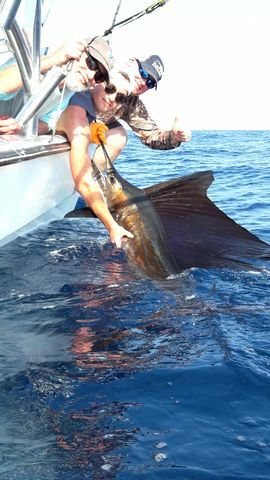 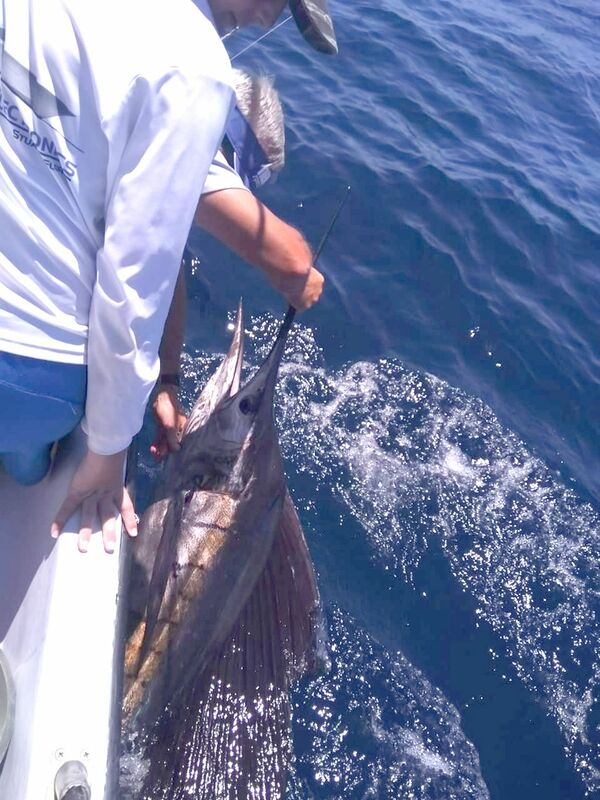 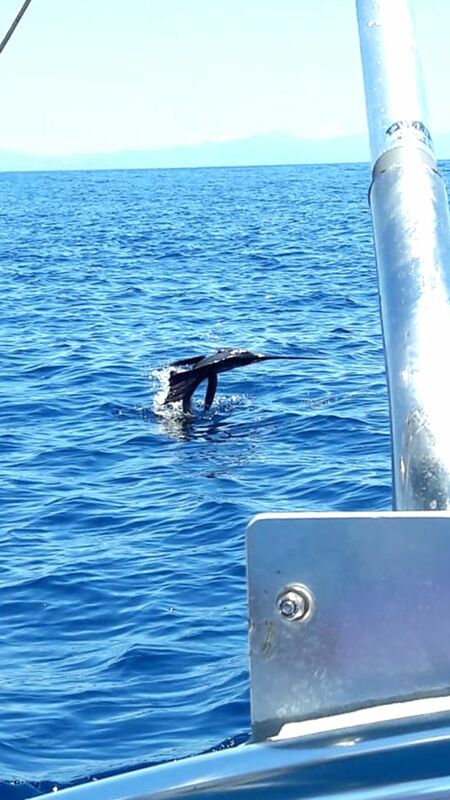 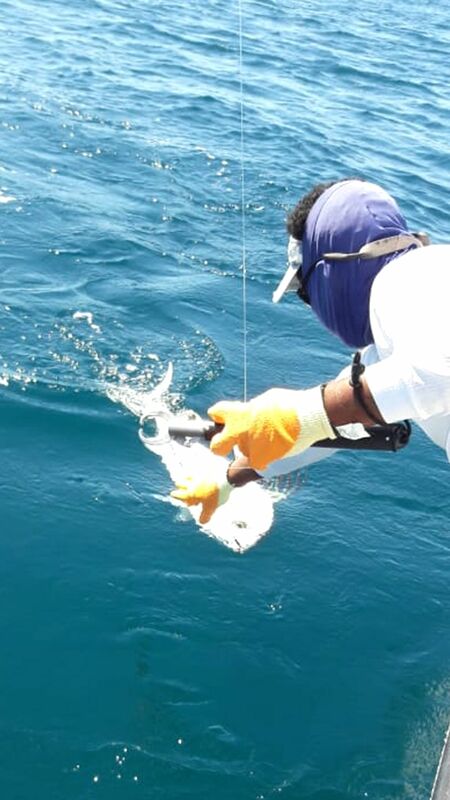 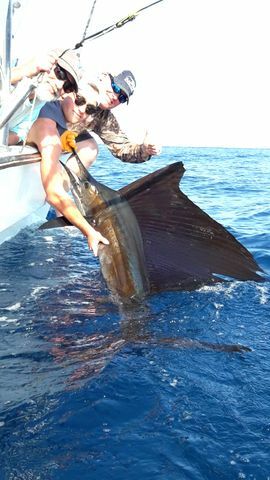 Several nice Sailfish releases were backed up by a feisty Striped Marlin release. 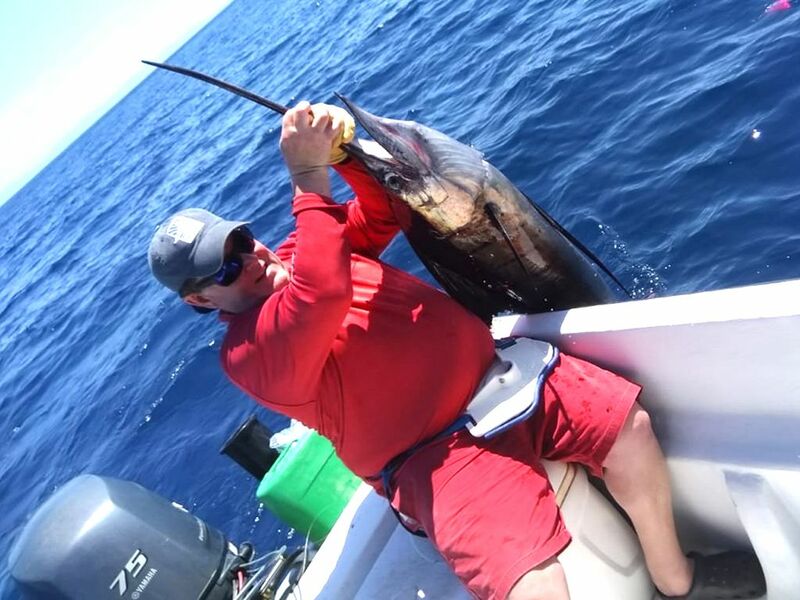 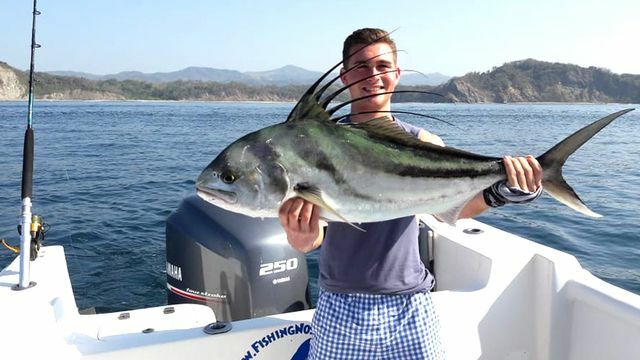 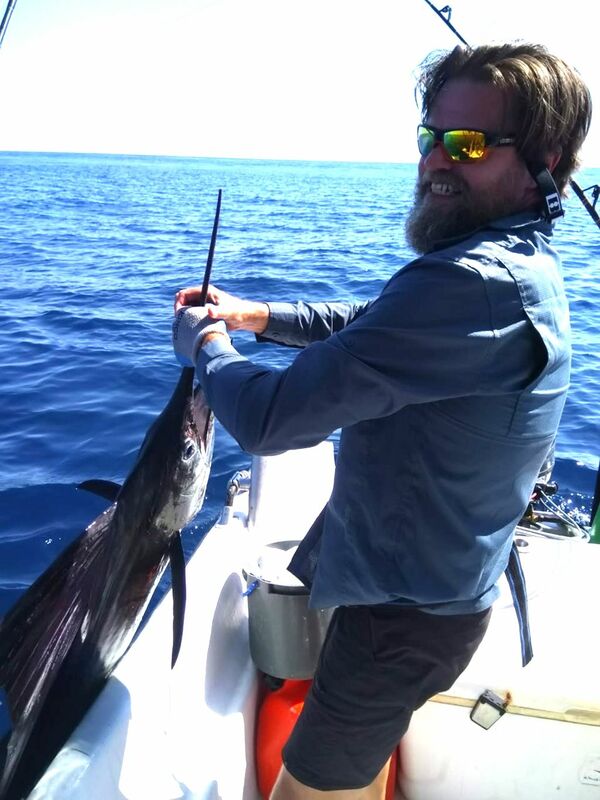 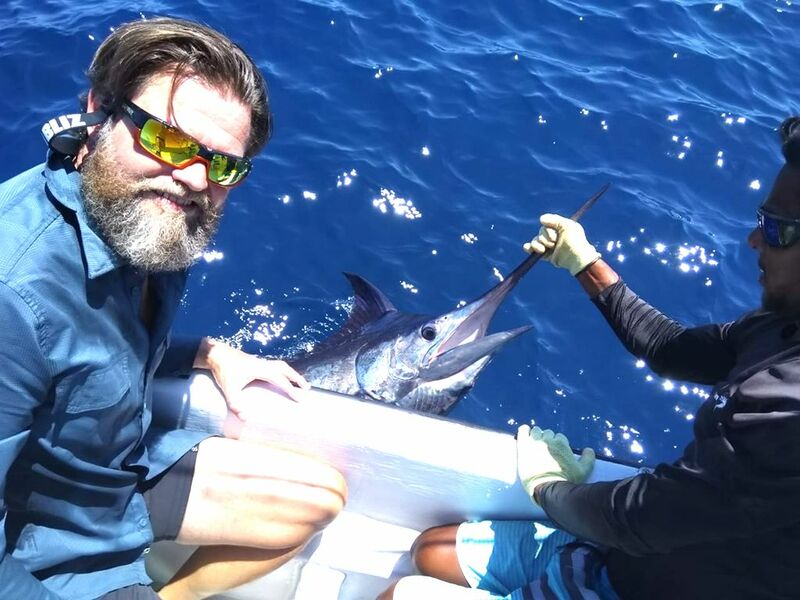 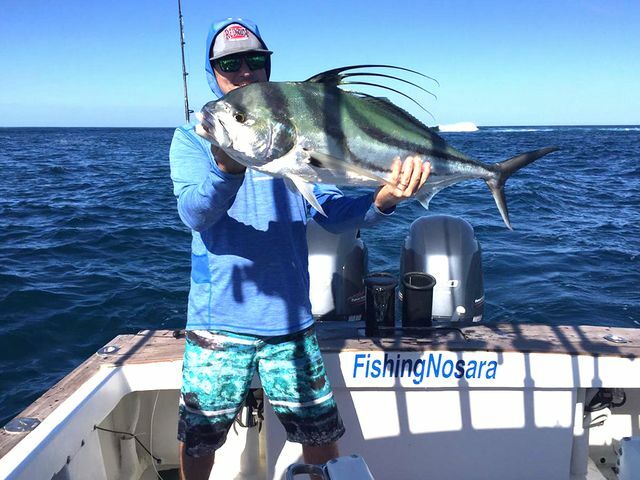 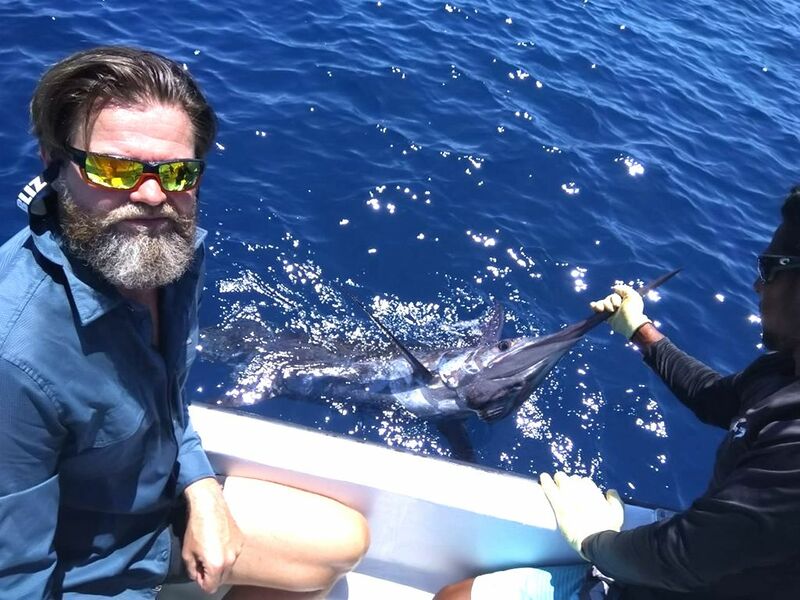 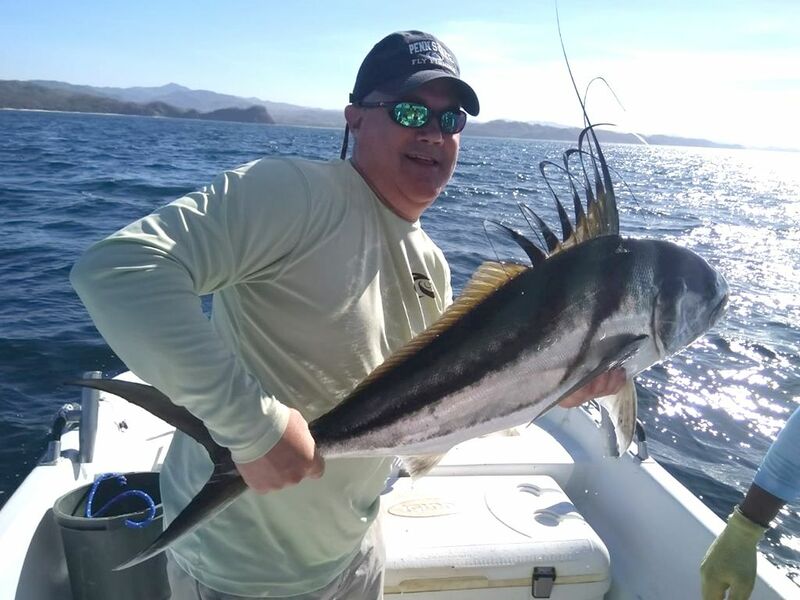 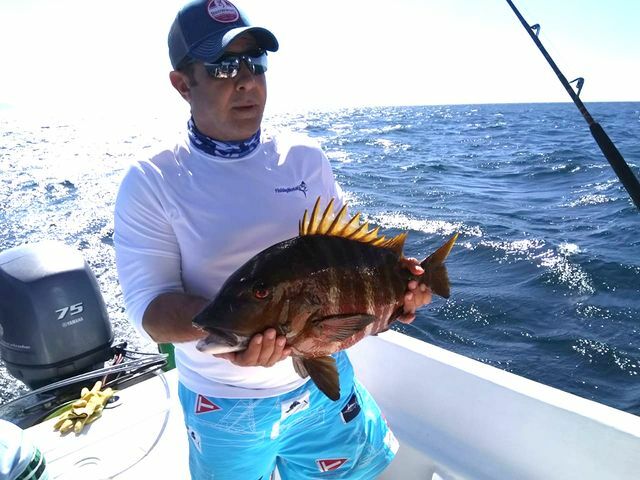 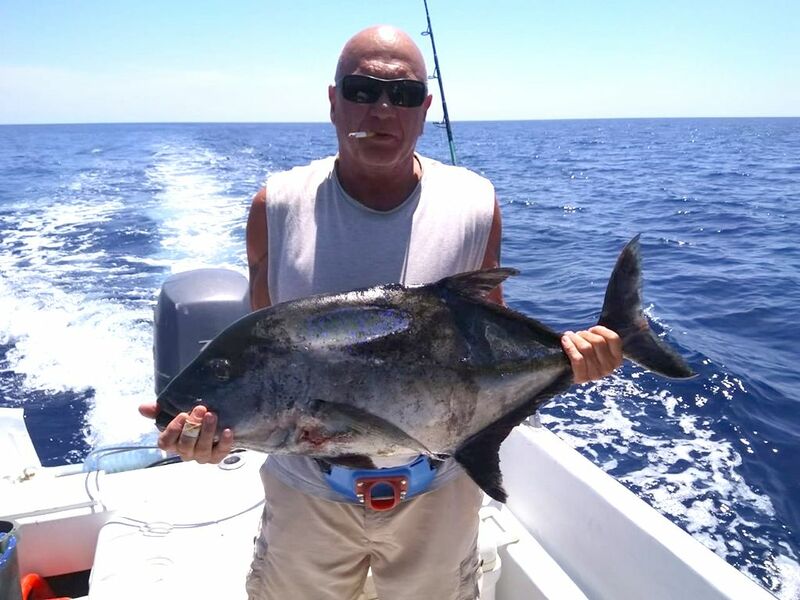 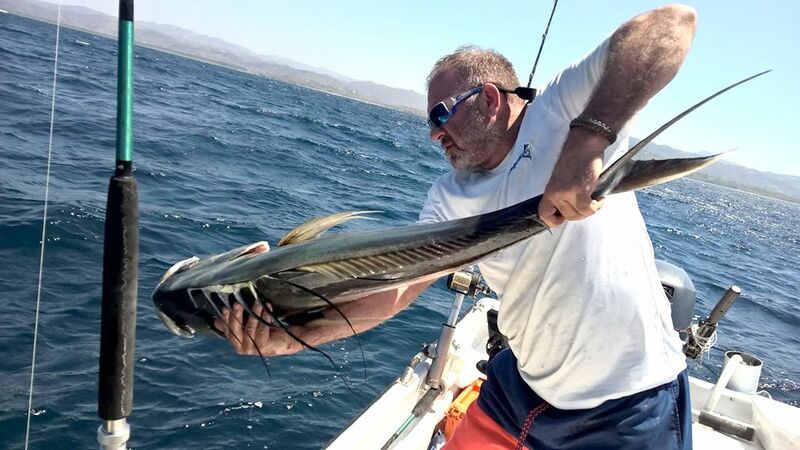 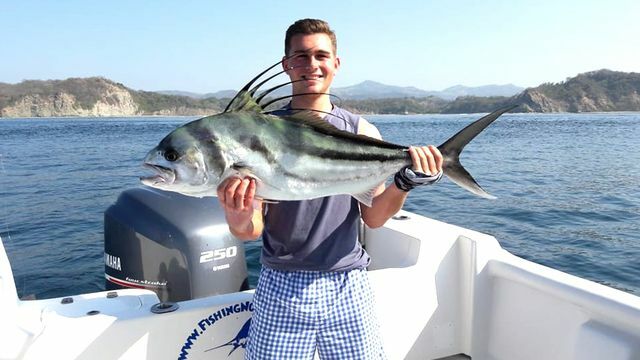 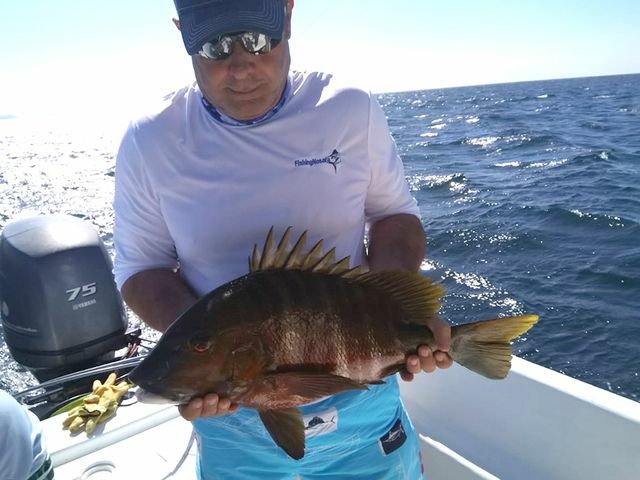 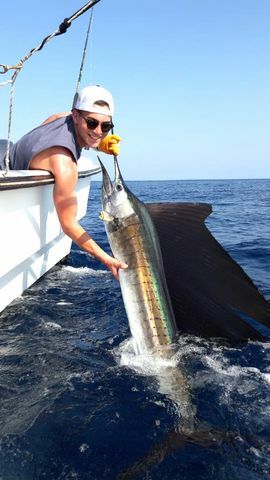 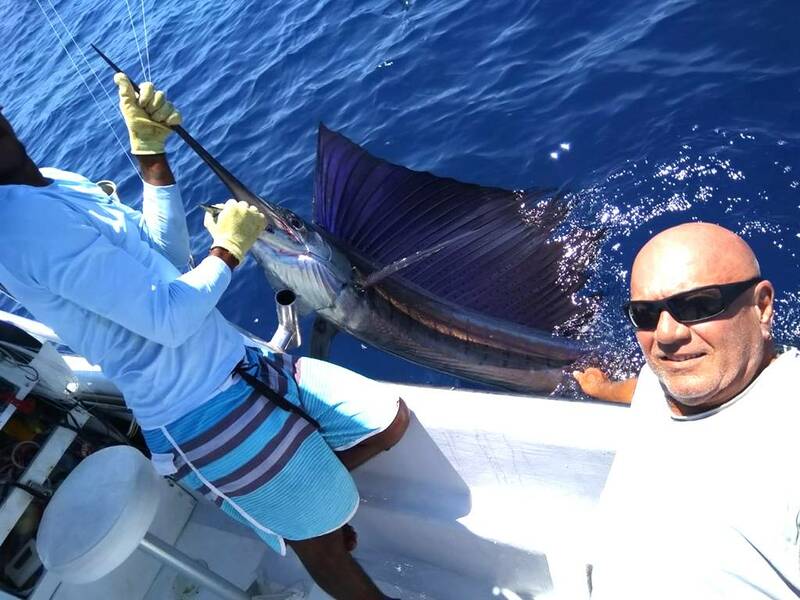 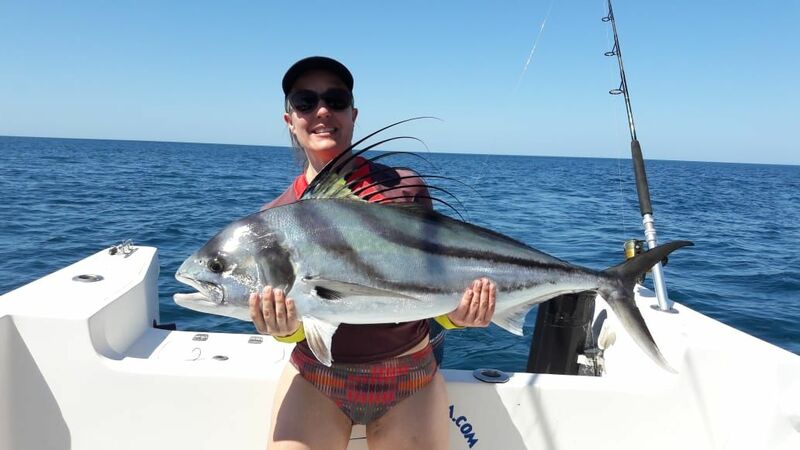 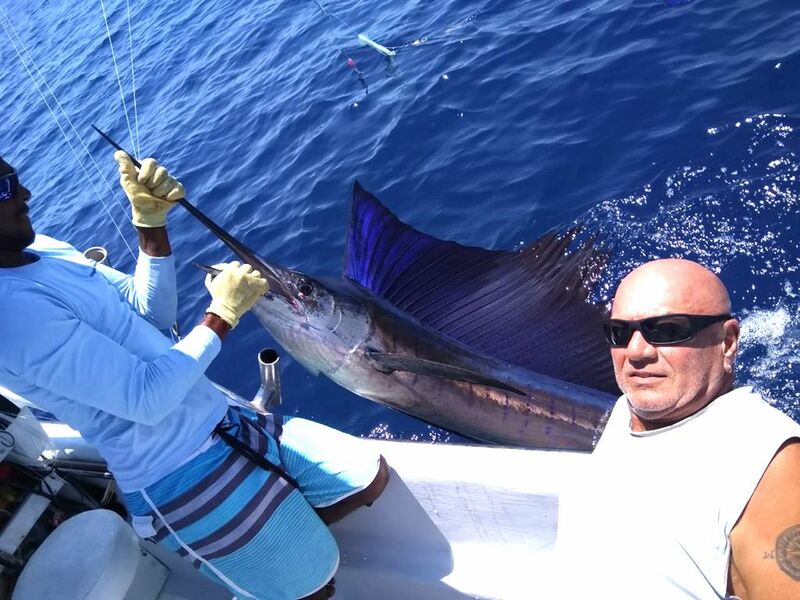 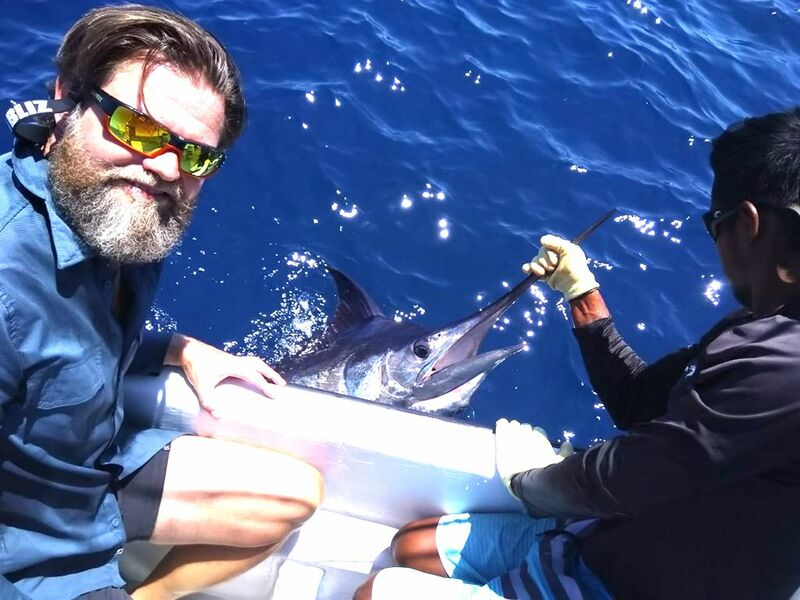 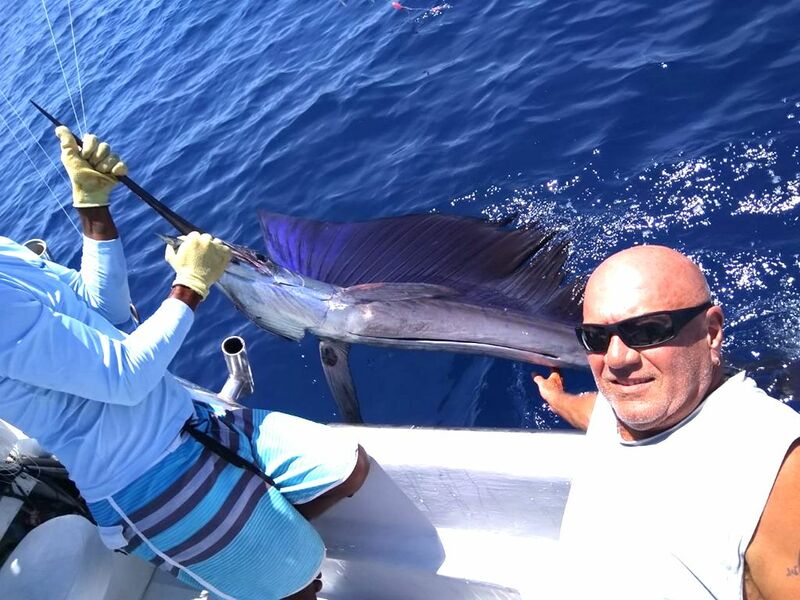 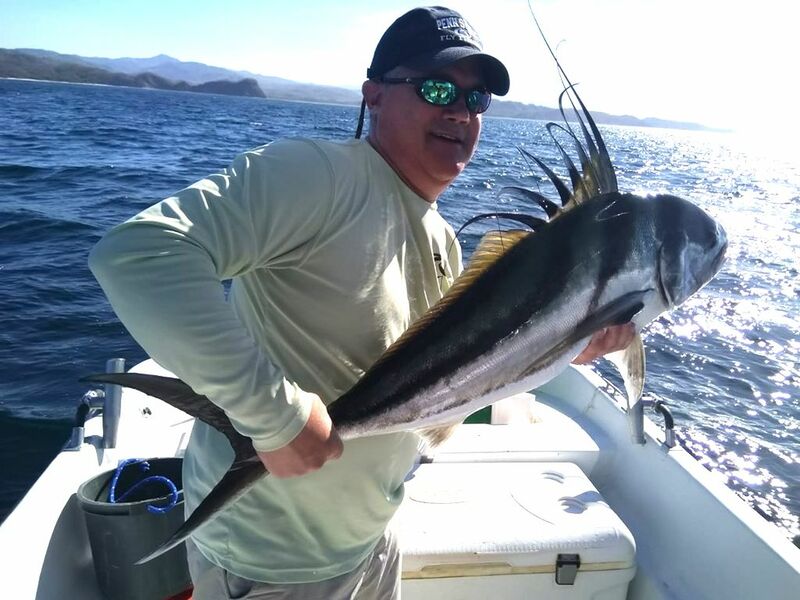 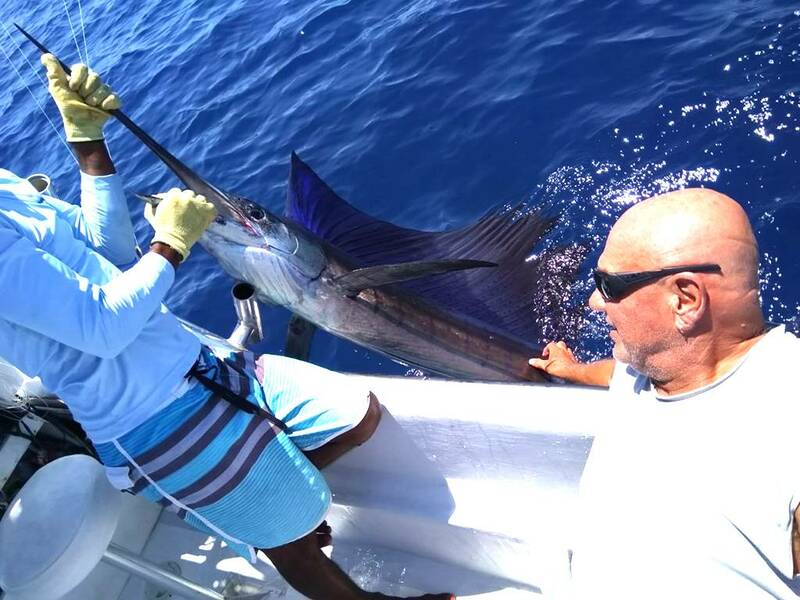 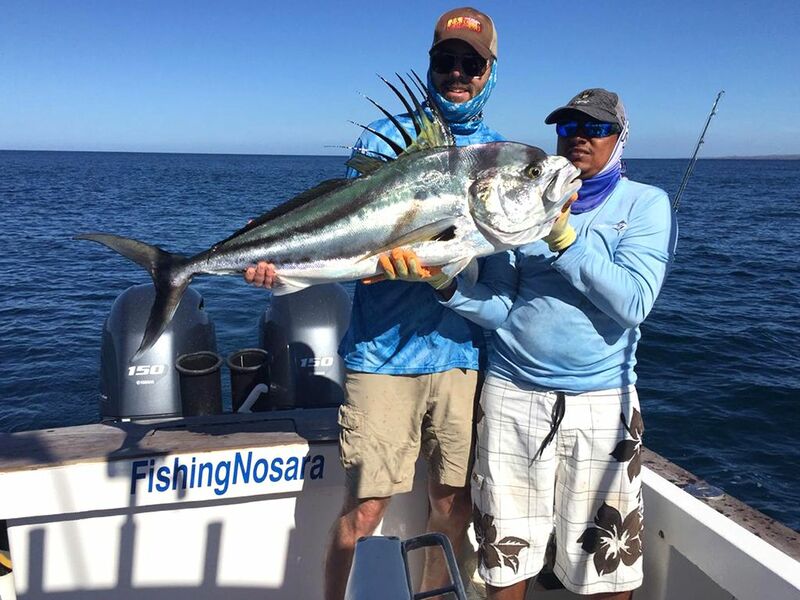 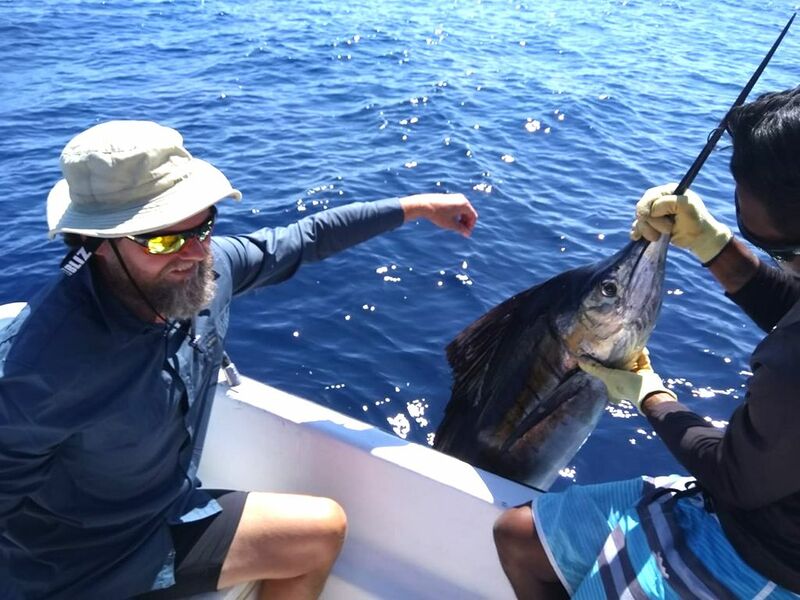 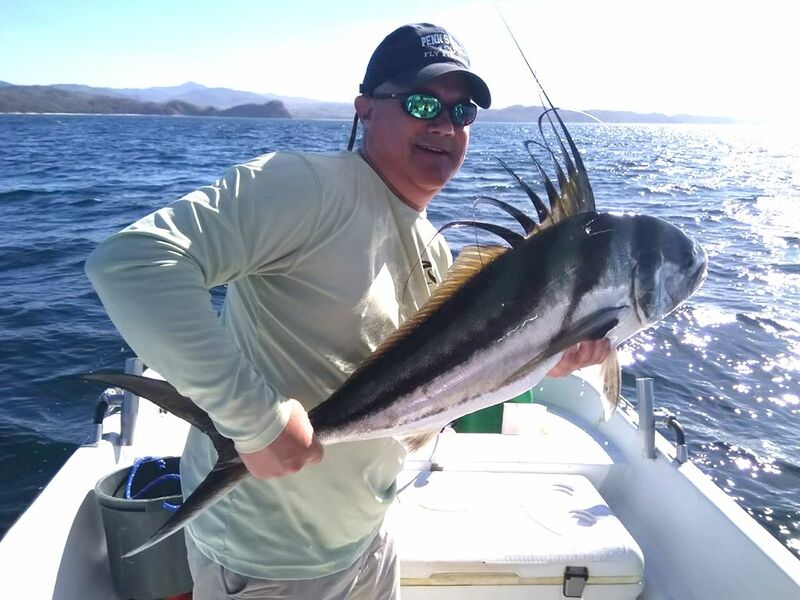 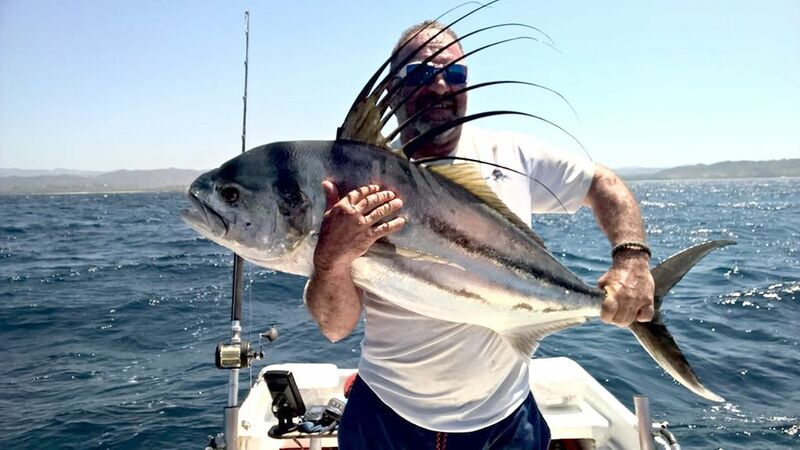 Rather than stay offshore to pursue another Marlin (thus securing the ultra-rare Billfish Grand Slam), Captain Fico headed inshore and scored another trophy: This excellent Rooster fish. The Explorer continues to amaze! 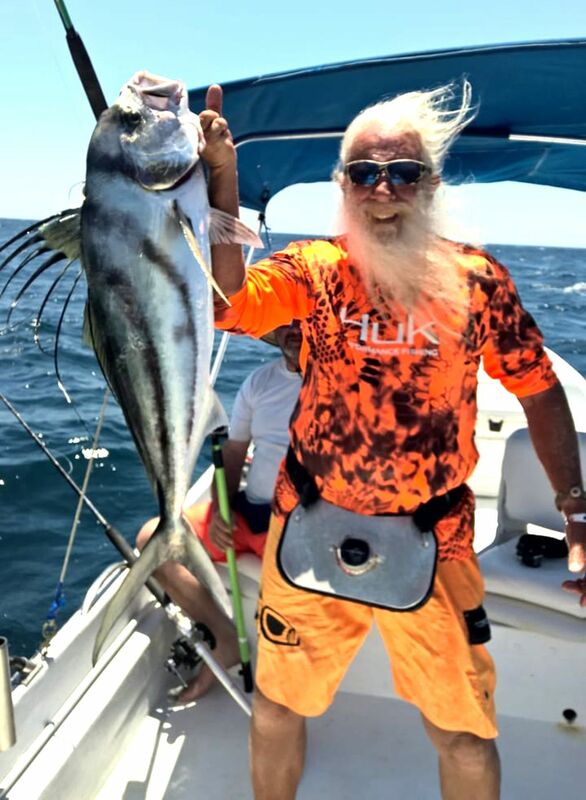 Captain Fico stayed inshore with Greg Randecker on the 7th and posted a very productive day, highlighted by this nice Rooster fish release. 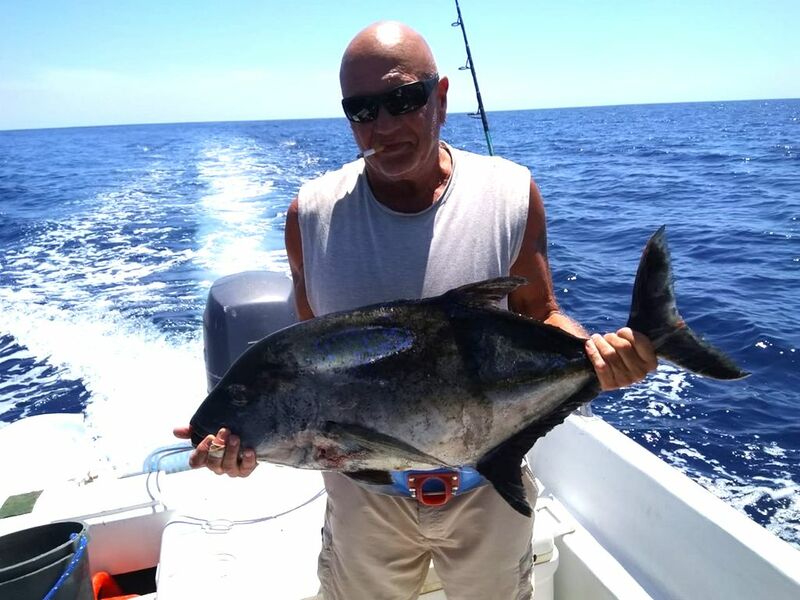 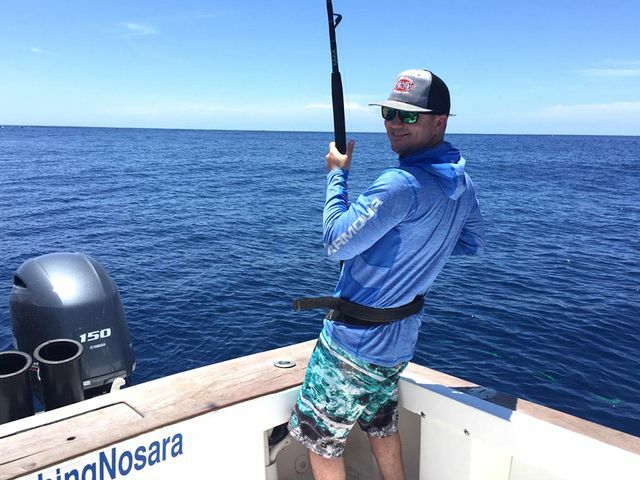 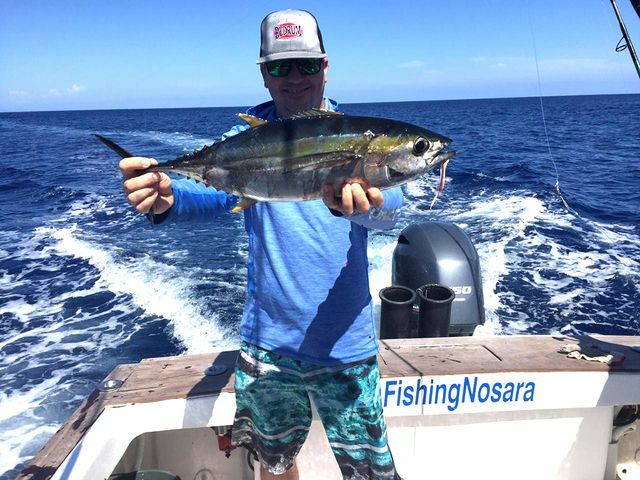 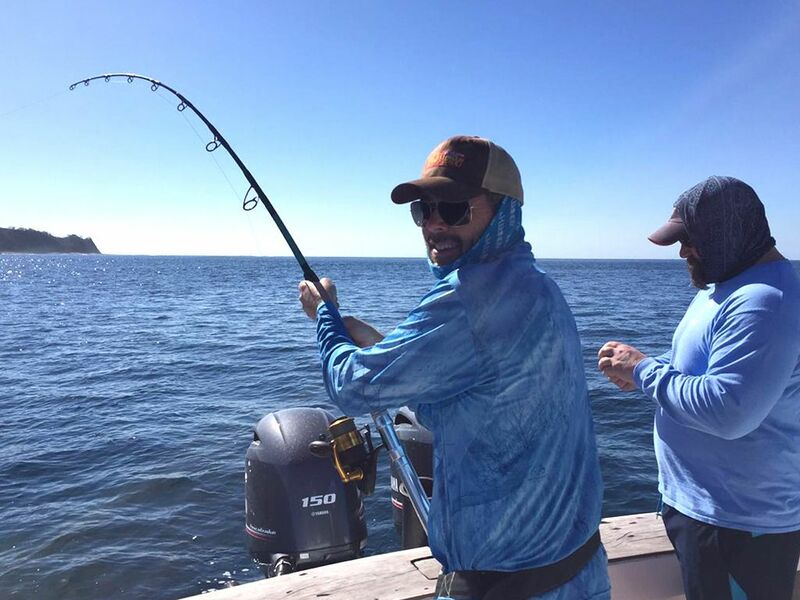 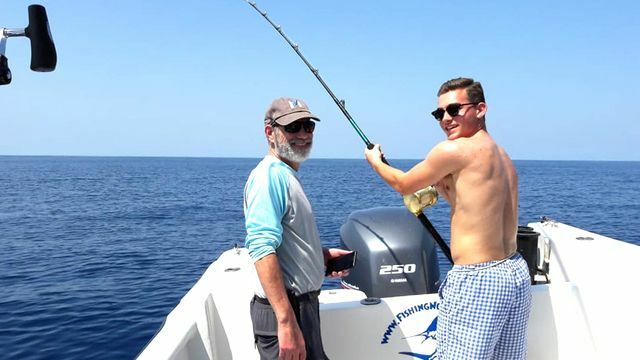 New Jersey angler Jack Herzlinger was super-excited to get fishing after purchasing his trip 18 months ago at the Saltwater Sportsman Expo in Edison, NJ. 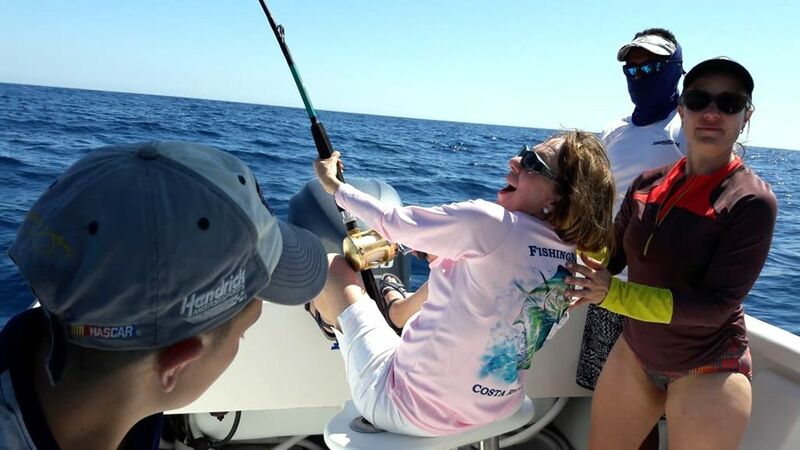 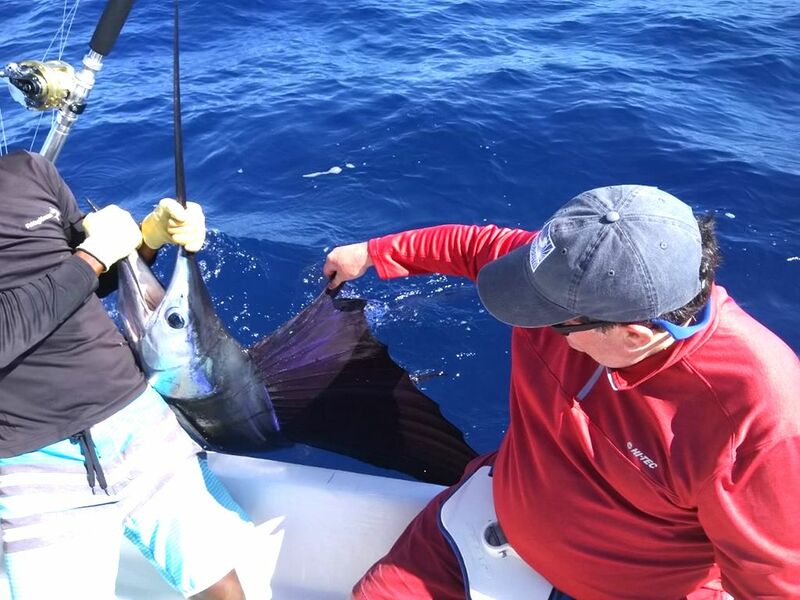 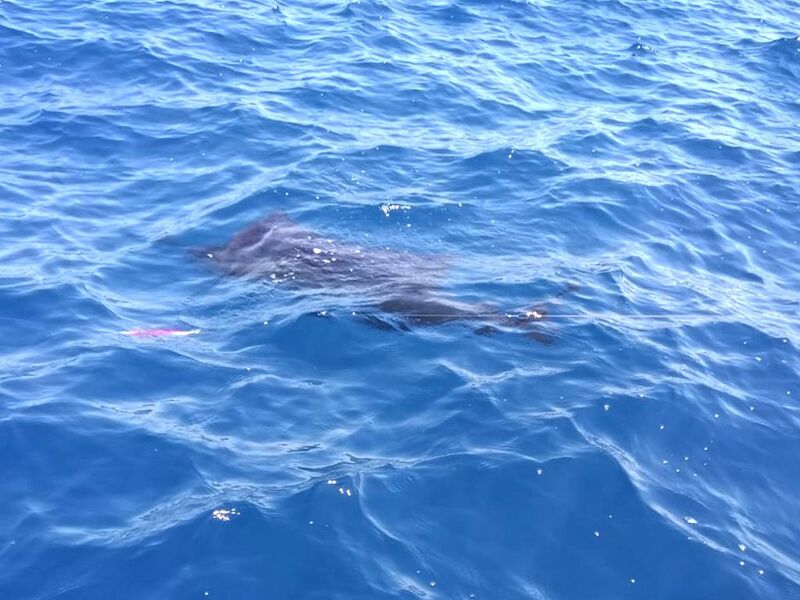 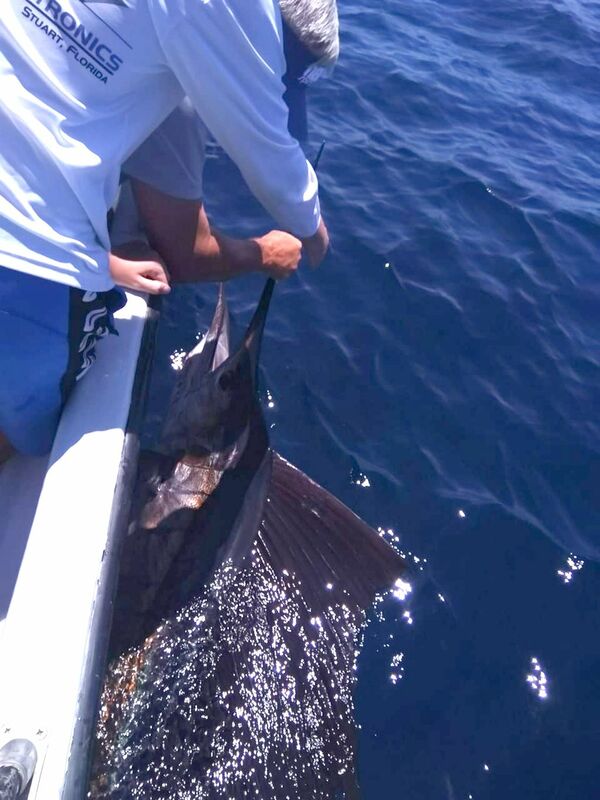 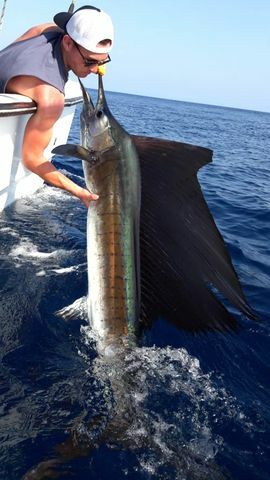 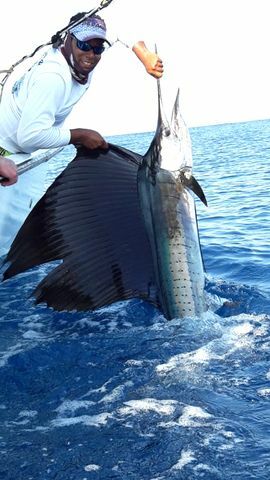 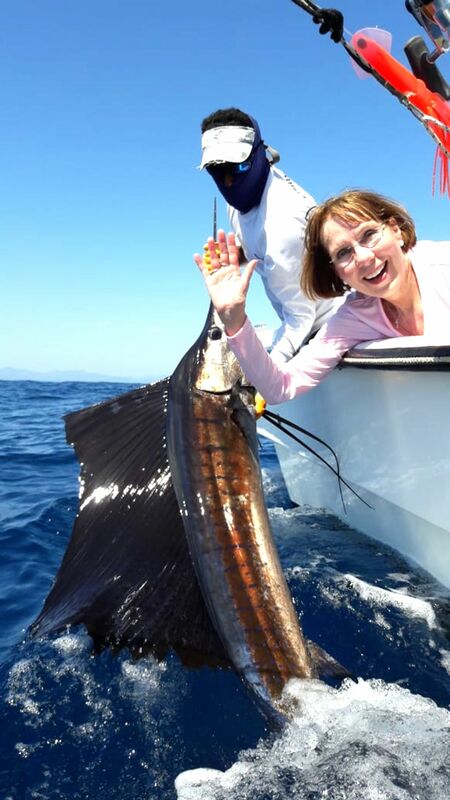 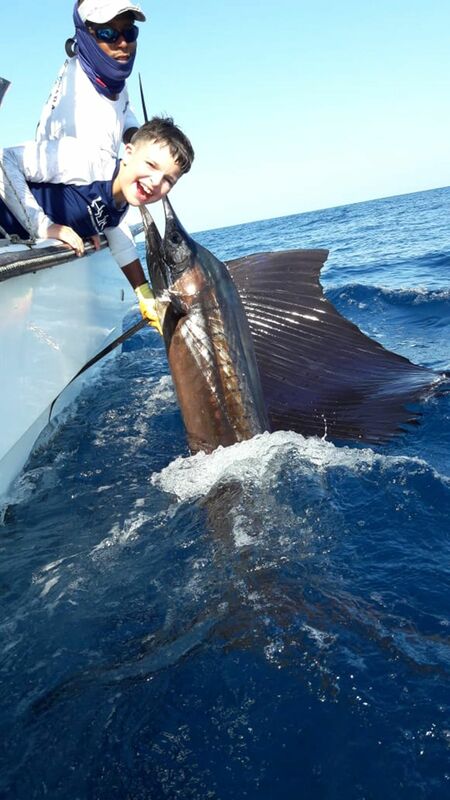 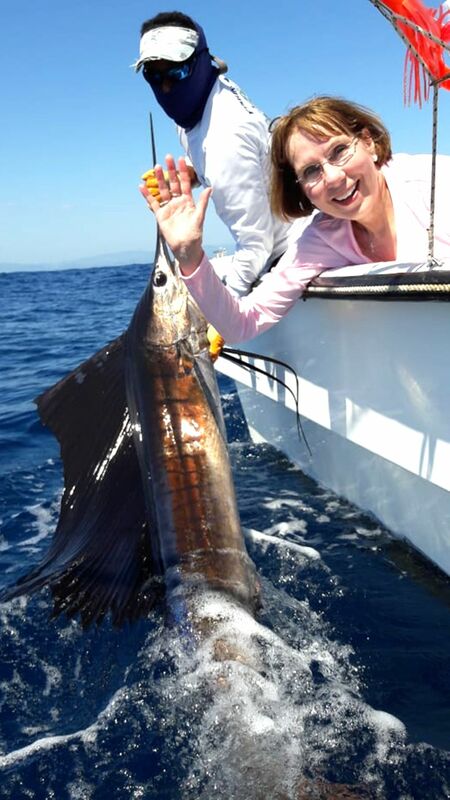 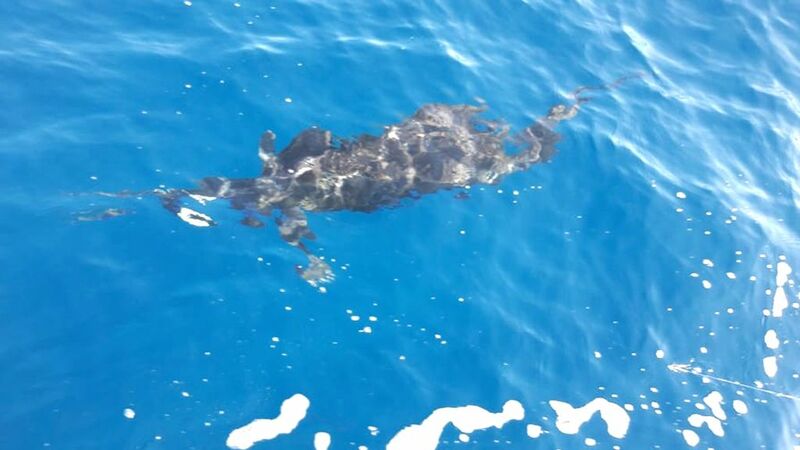 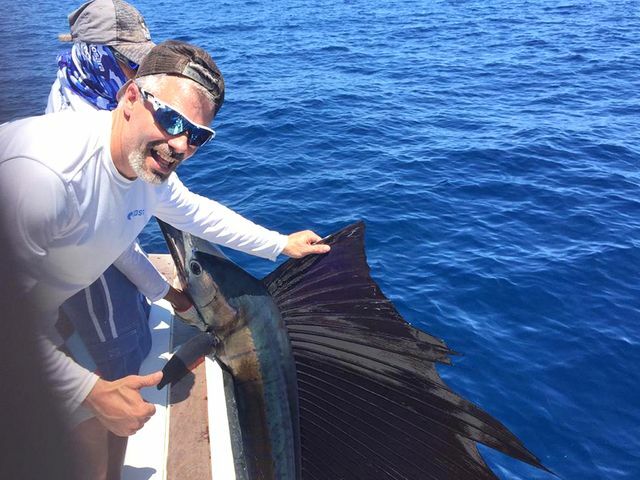 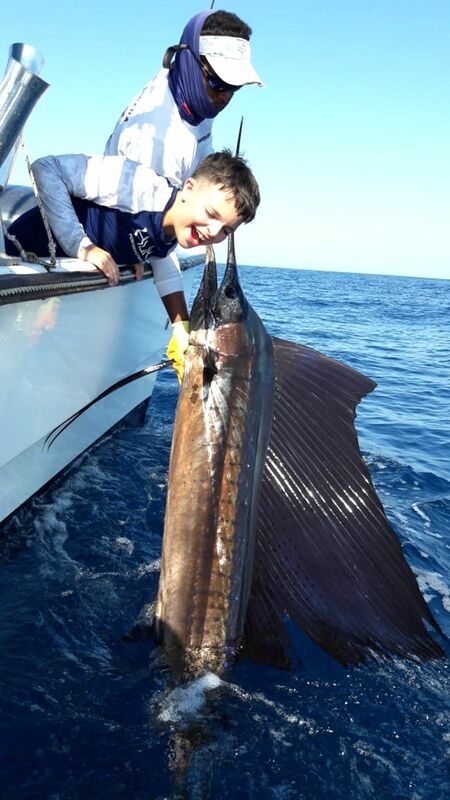 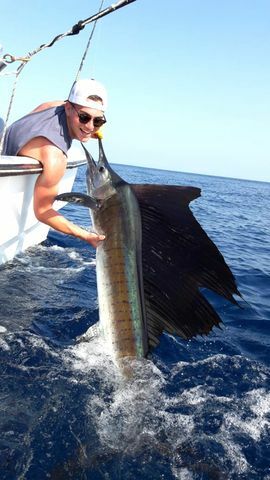 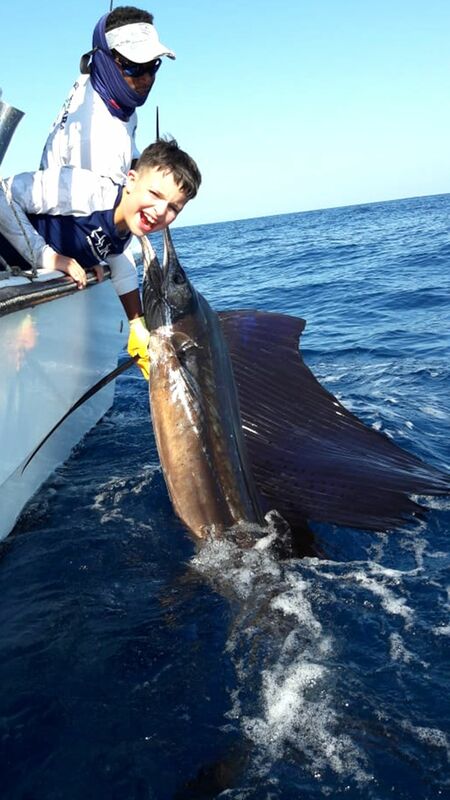 Turns out it was worth the wait as the Harvester reports several super Sailfish releases. 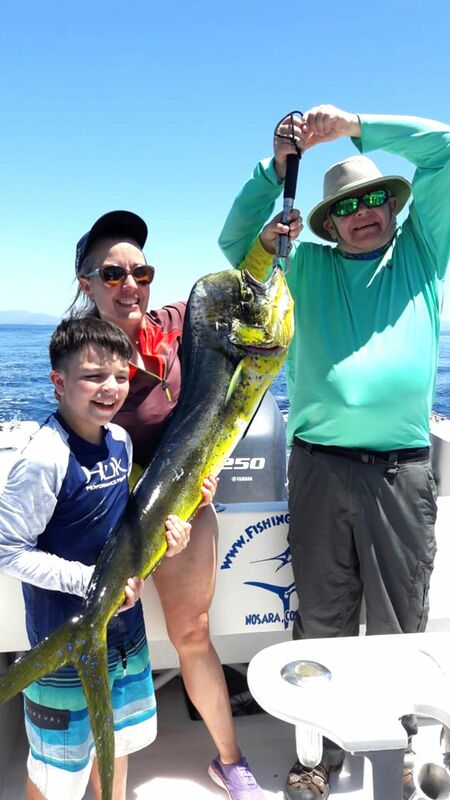 They also added some tasty Dorados for the dinner table. 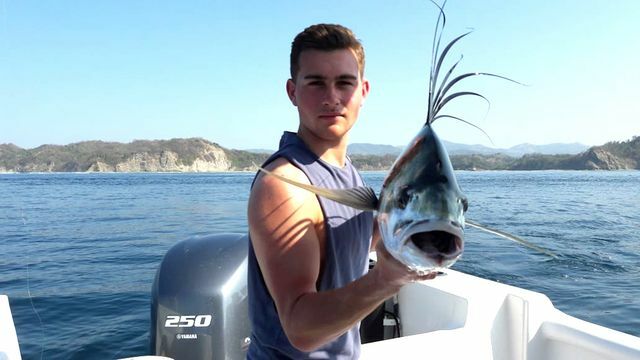 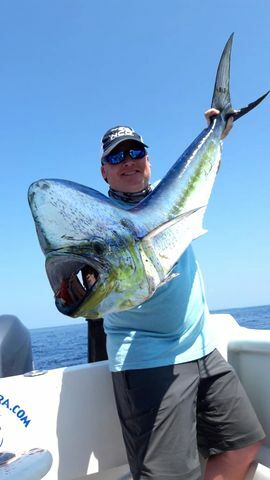 Then they put a hook in the Bonita and sent it to the bottom, where this monster Rooster fish engulfed it. 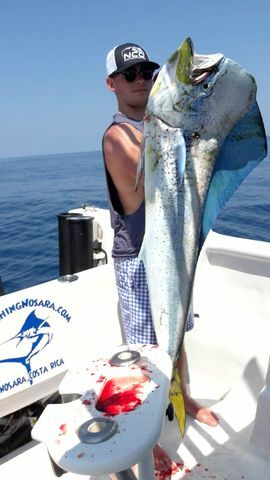 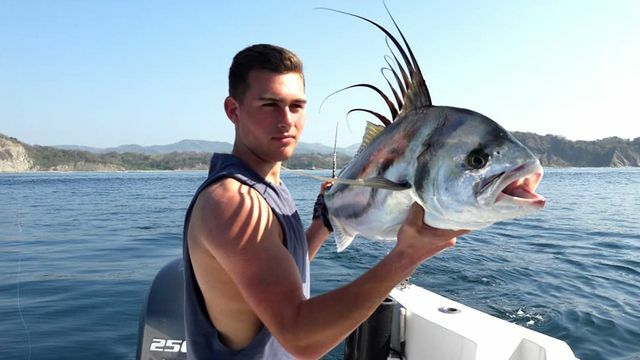 Great job by Jack Herzlinger and the mega panga Harvester!